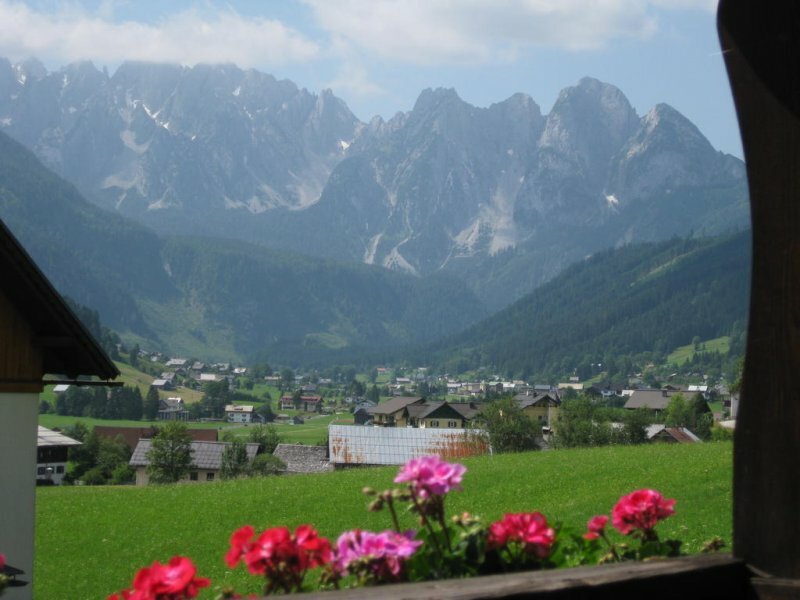 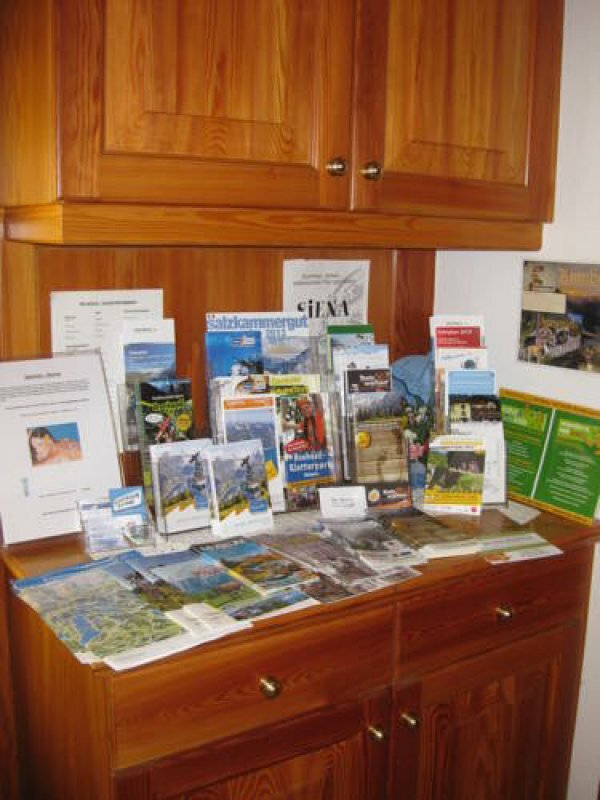 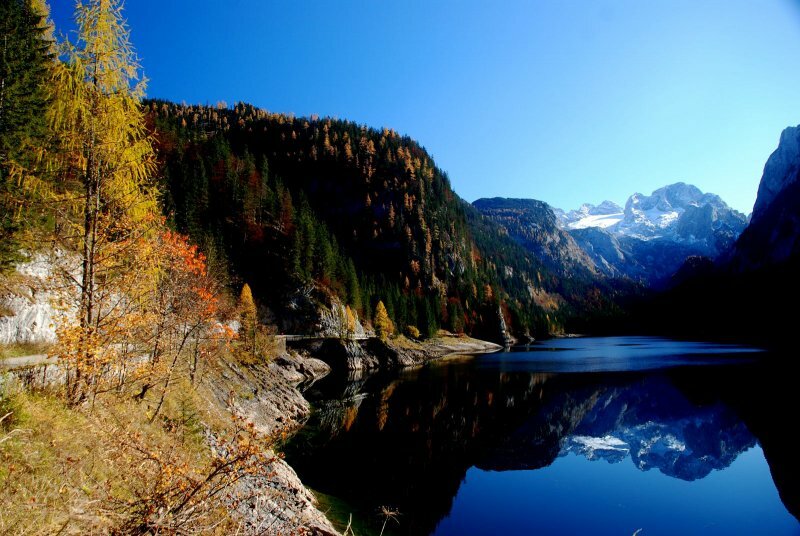 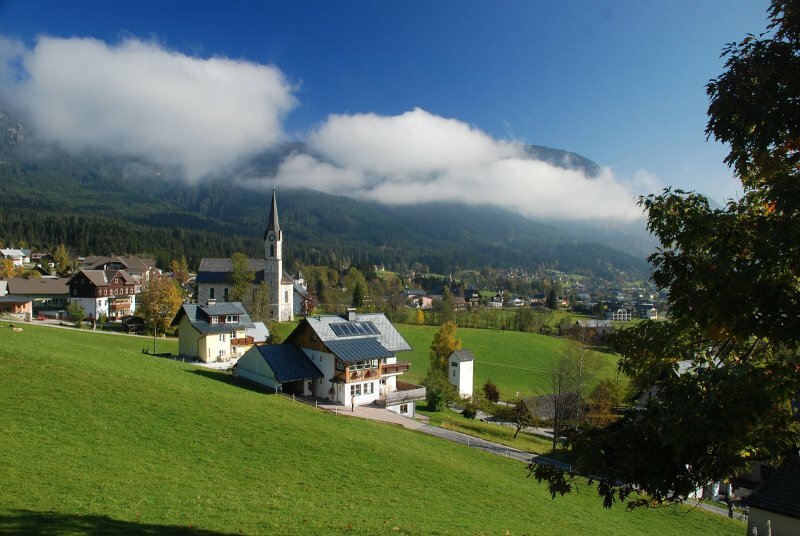 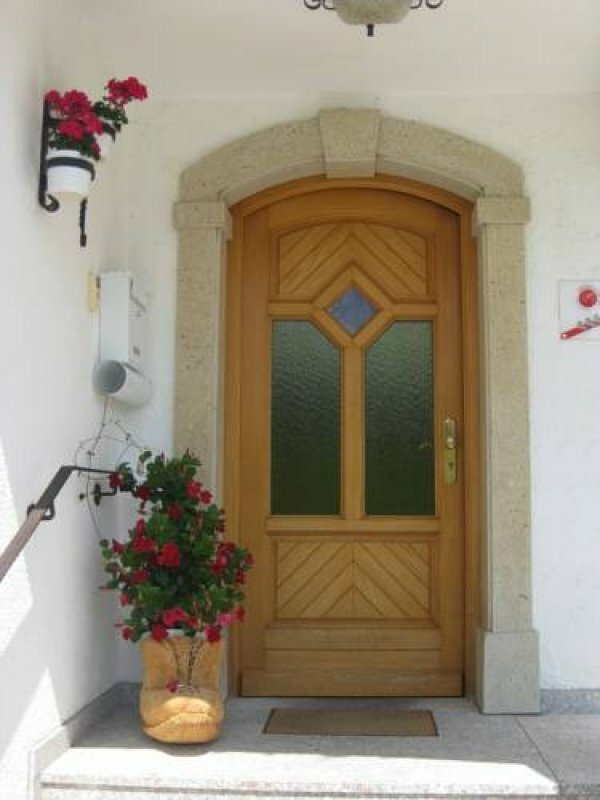 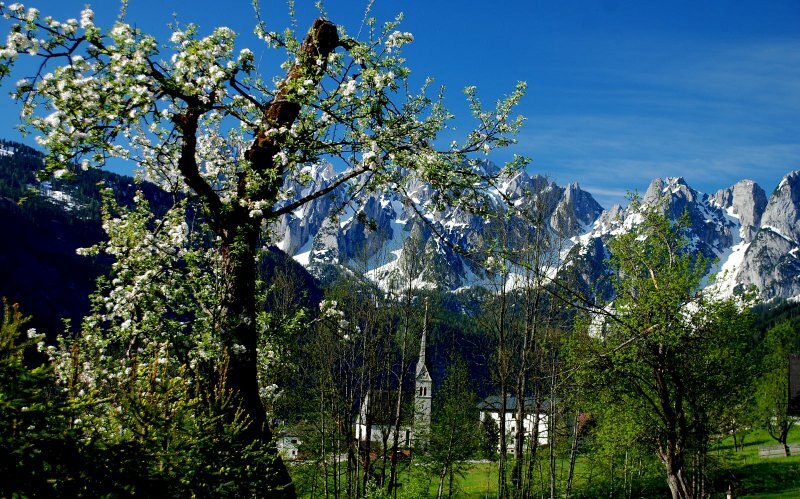 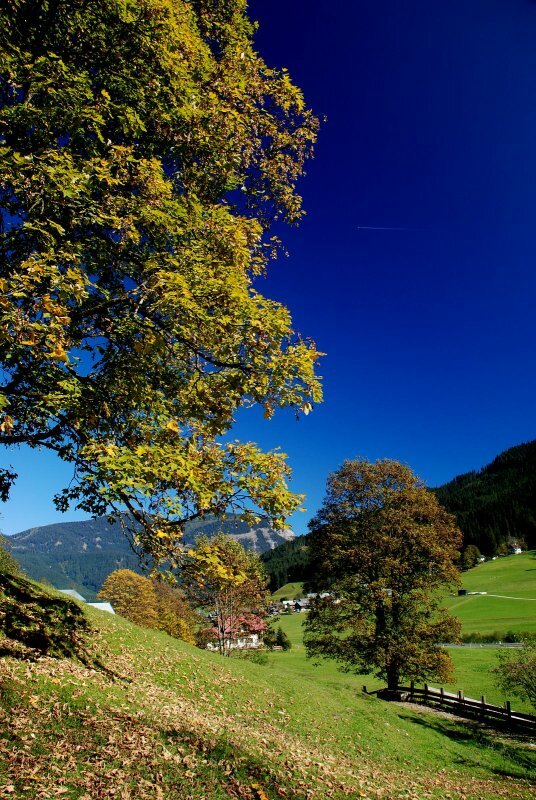 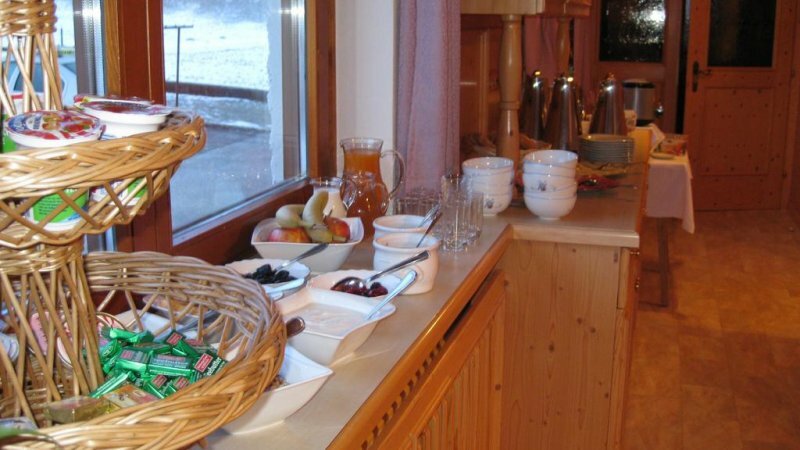 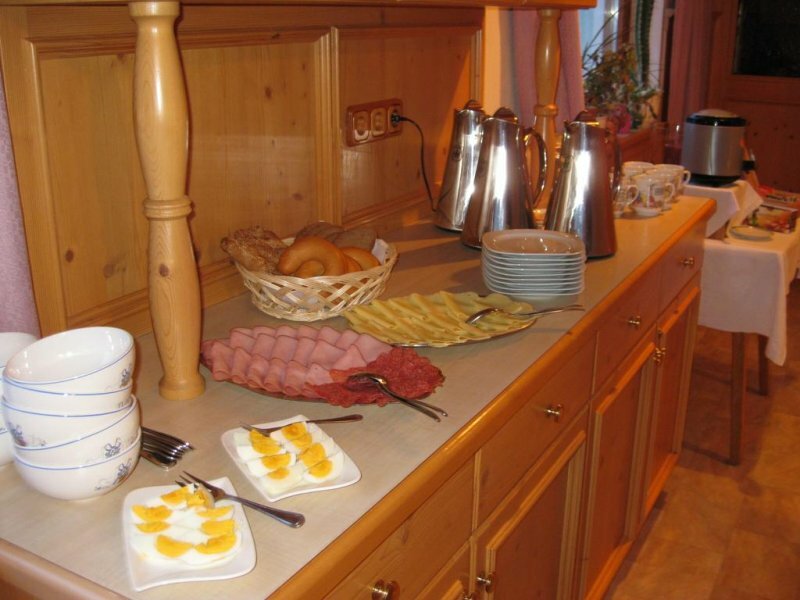 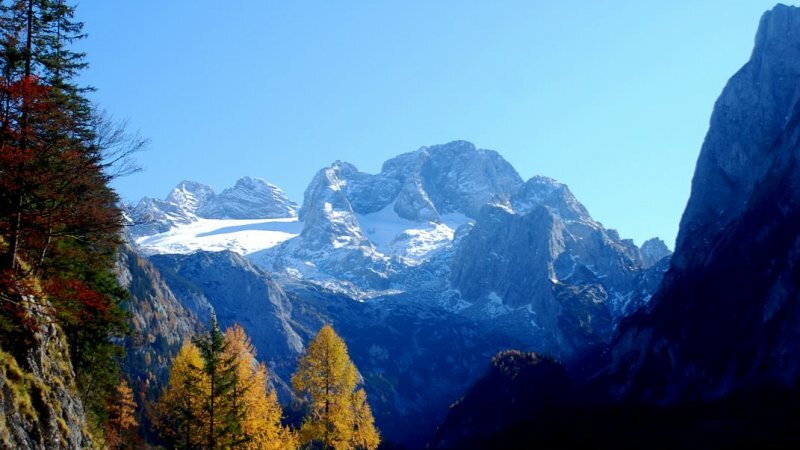 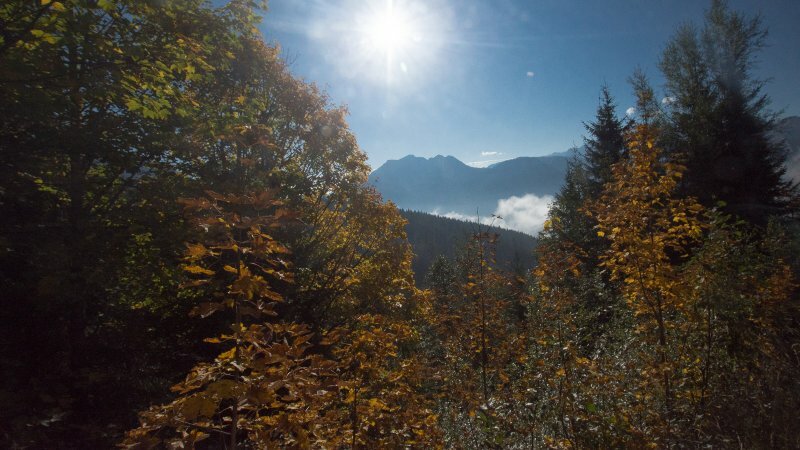 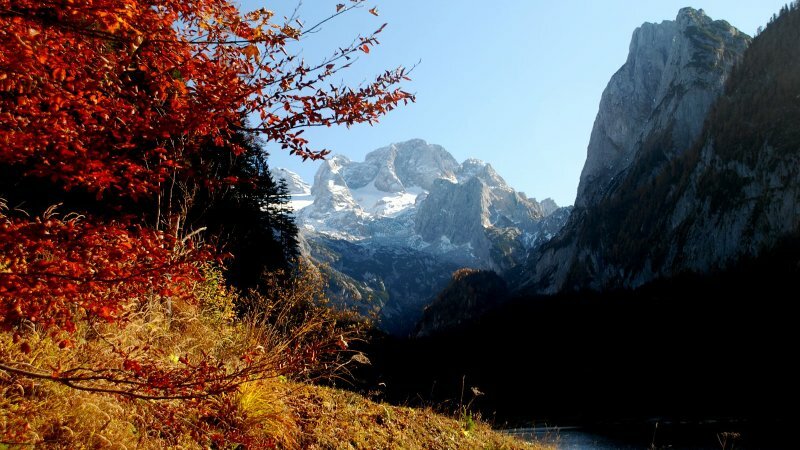 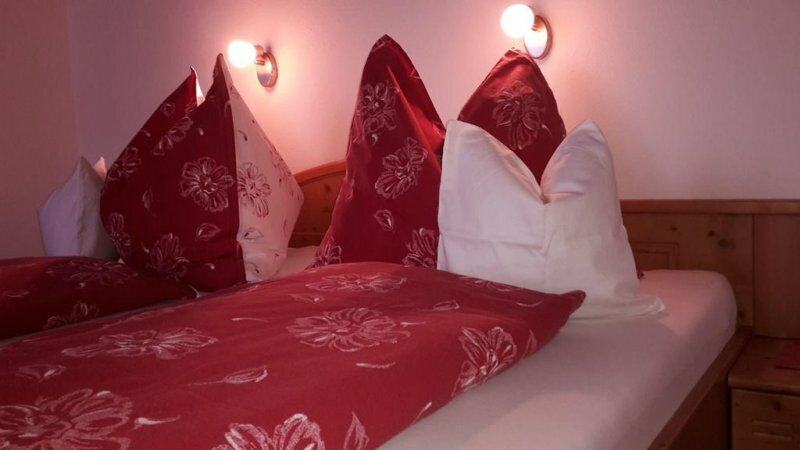 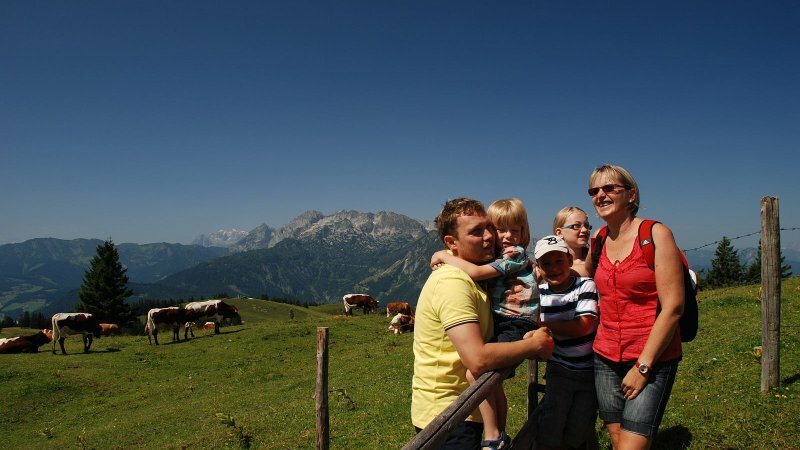 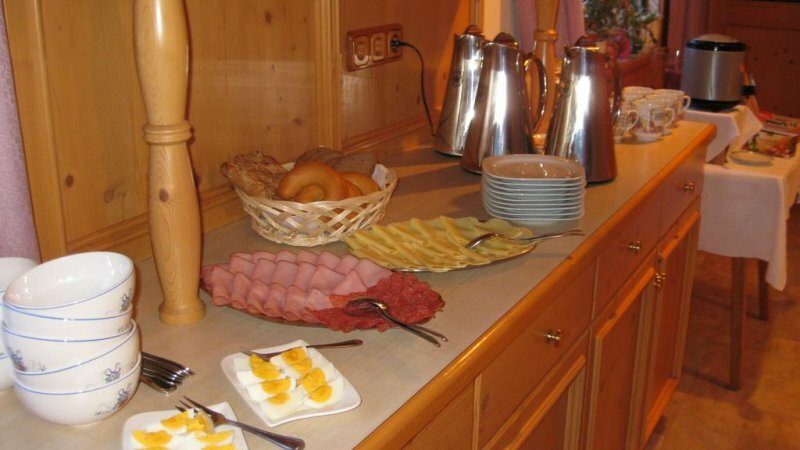 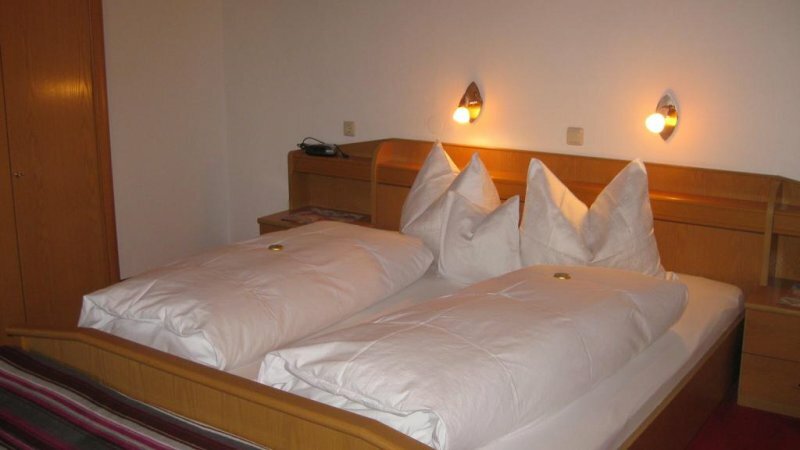 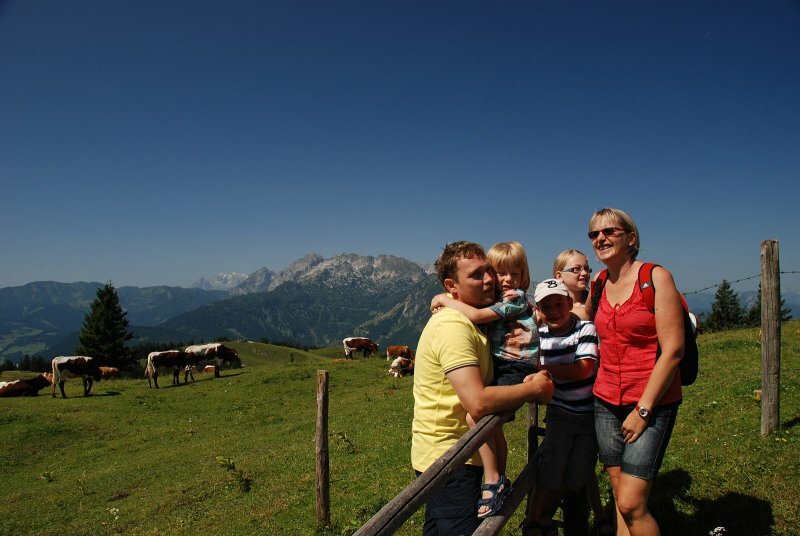 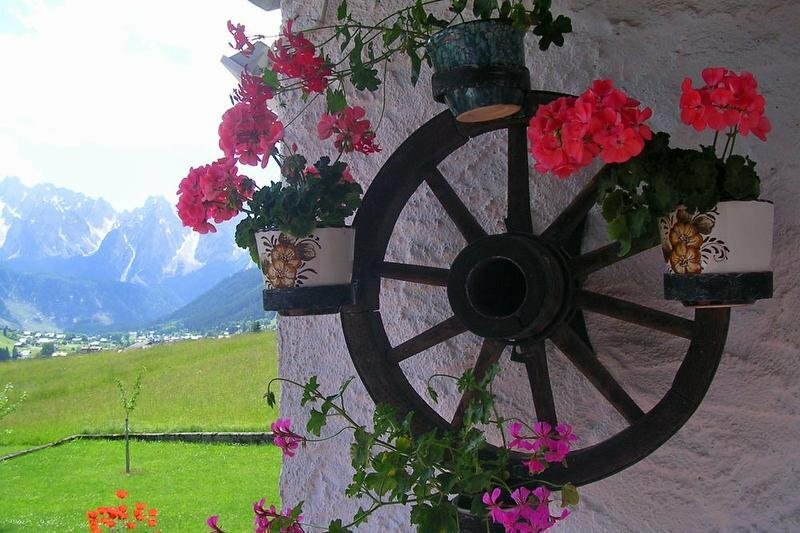 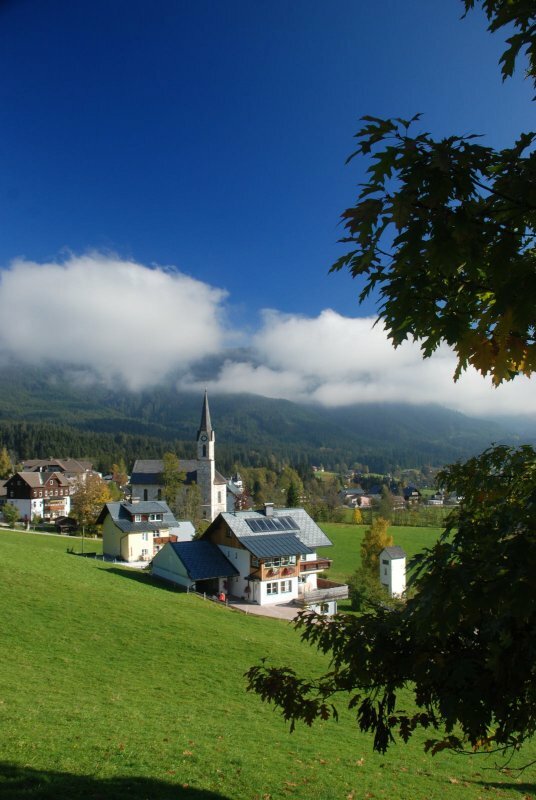 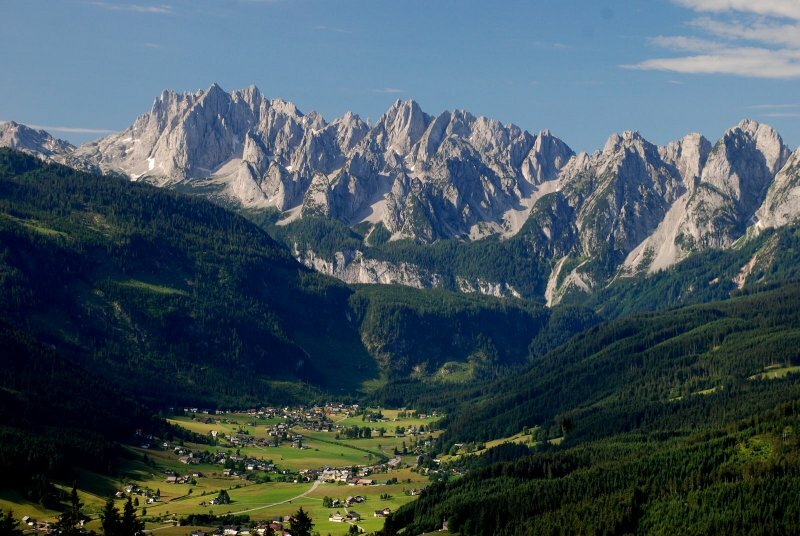 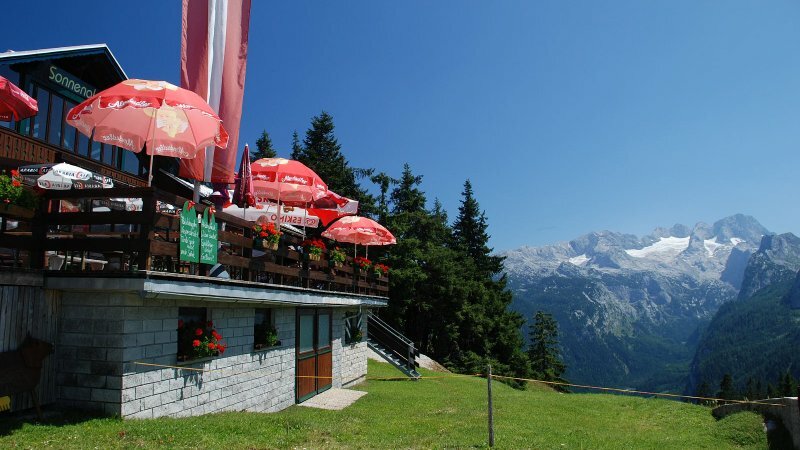 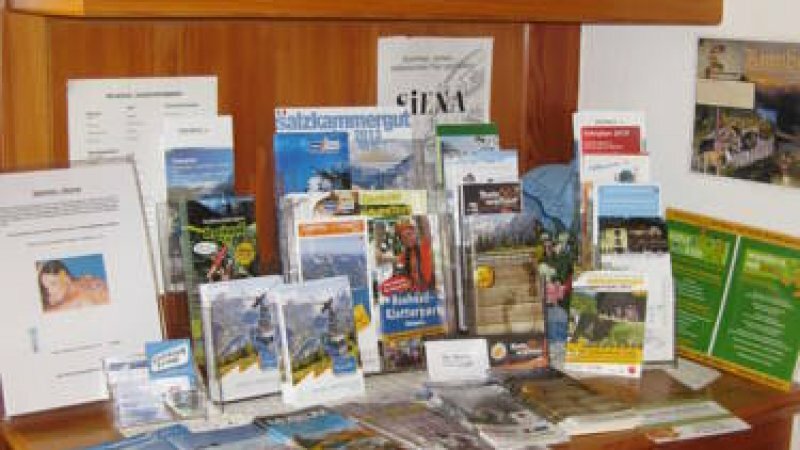 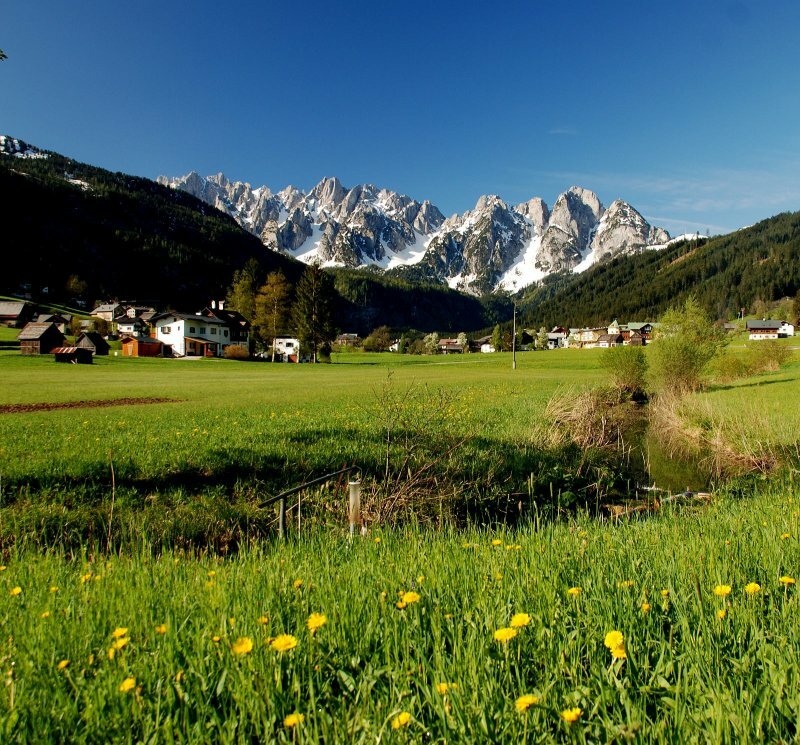 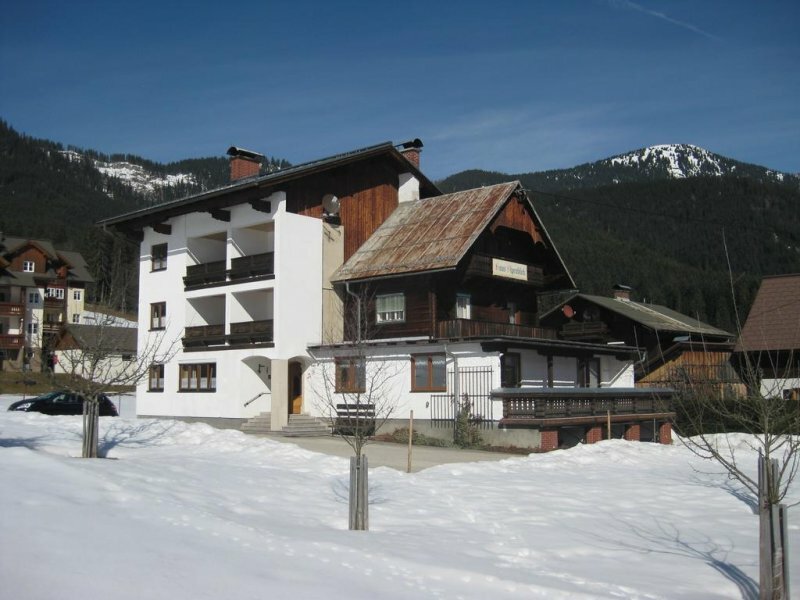 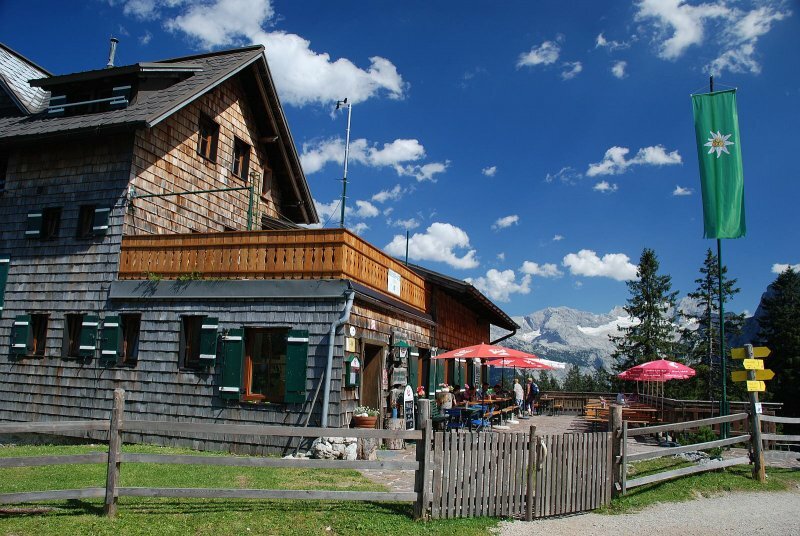 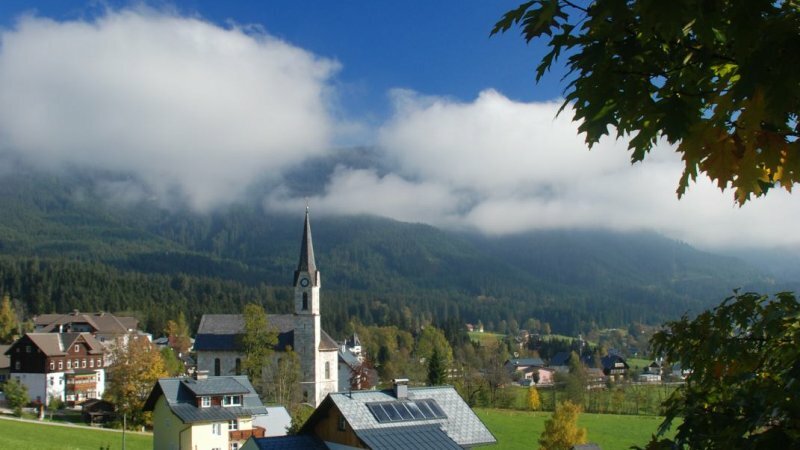 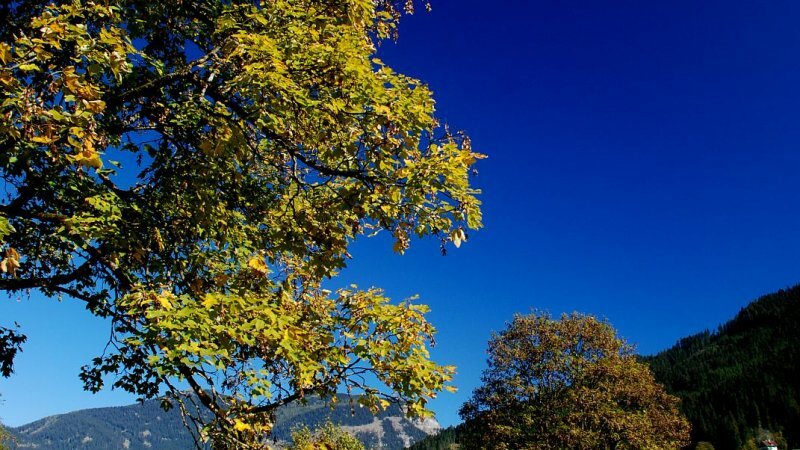 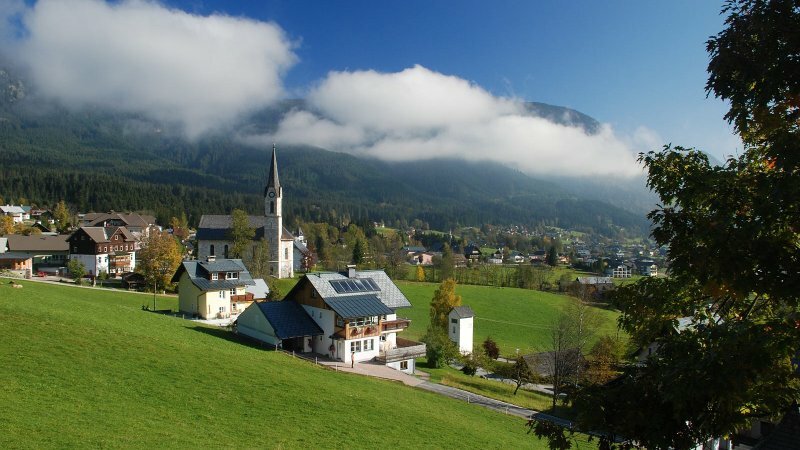 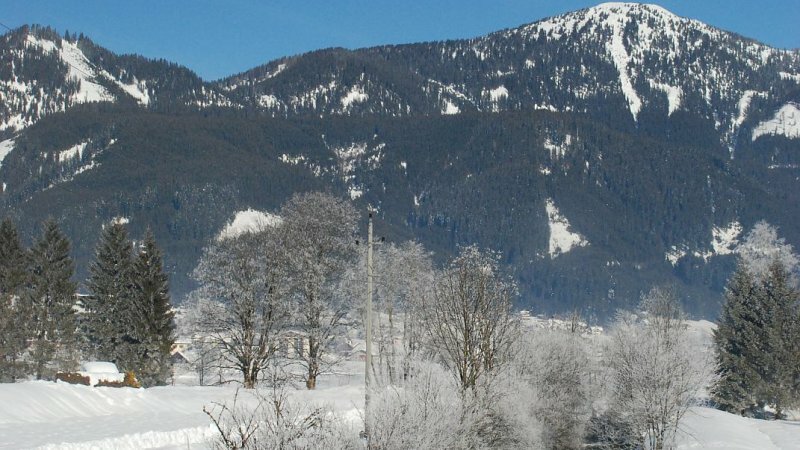 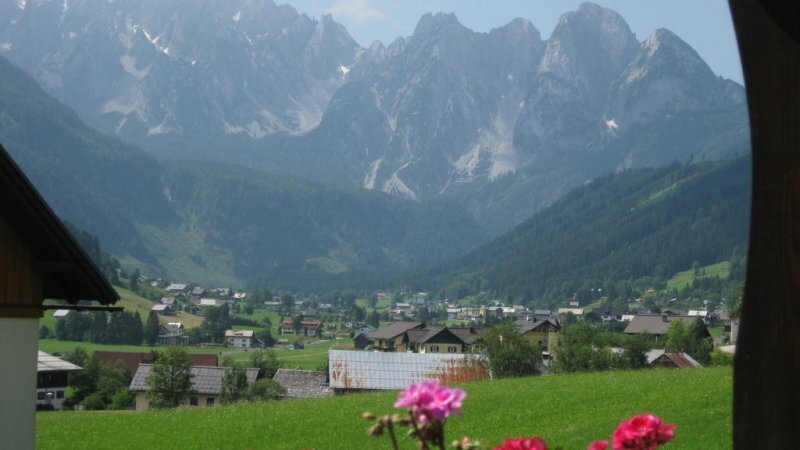 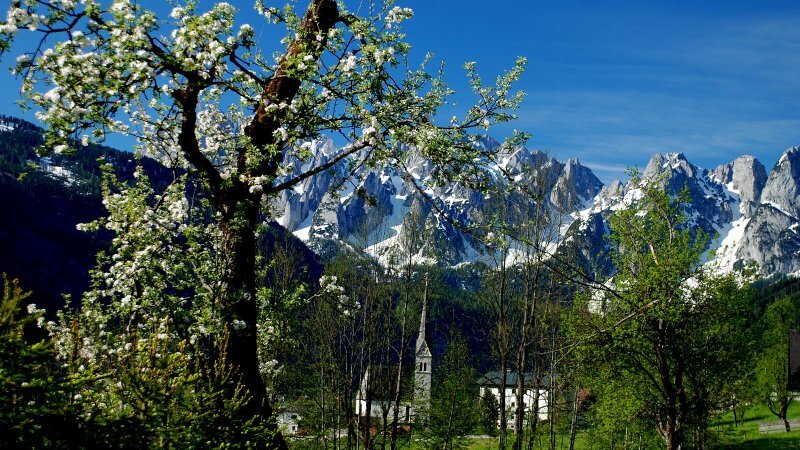 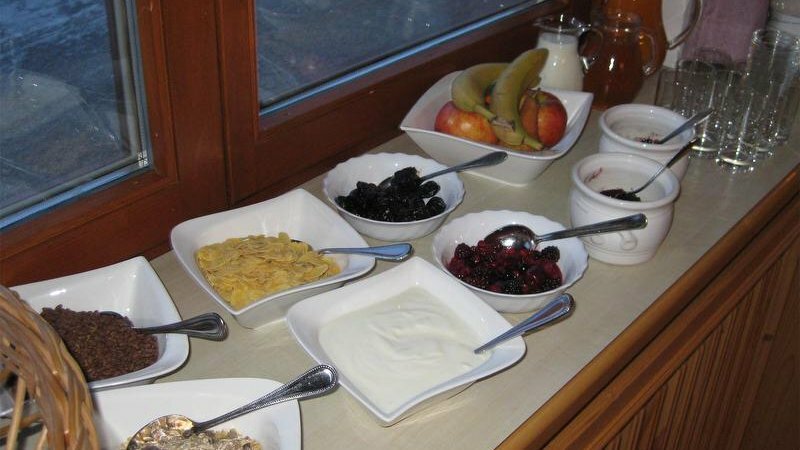 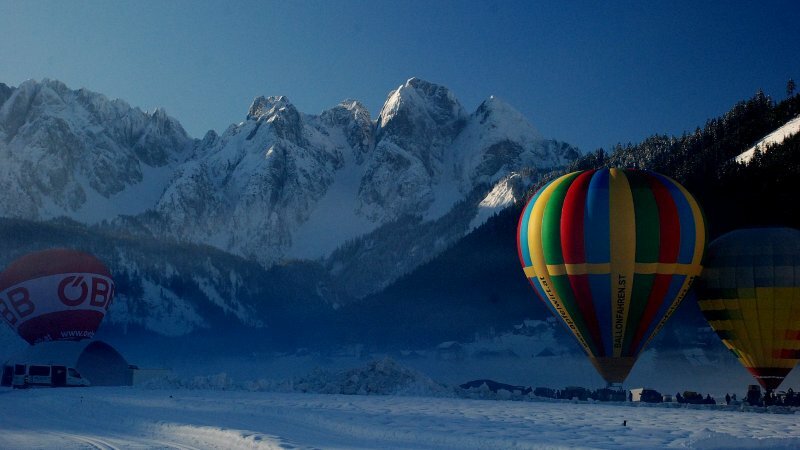 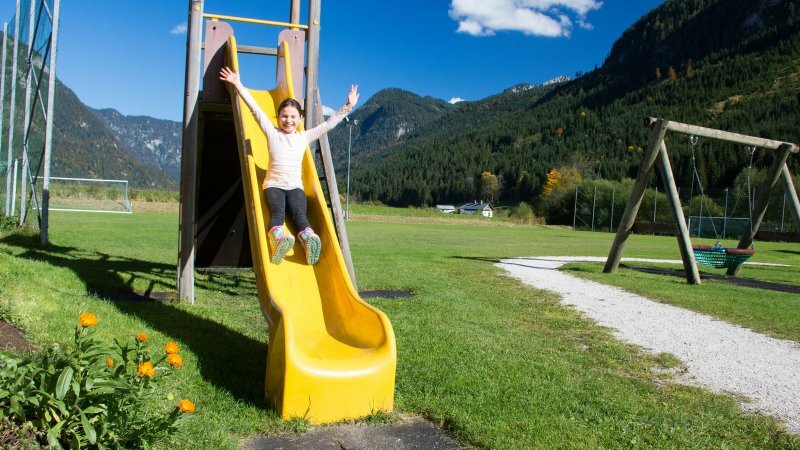 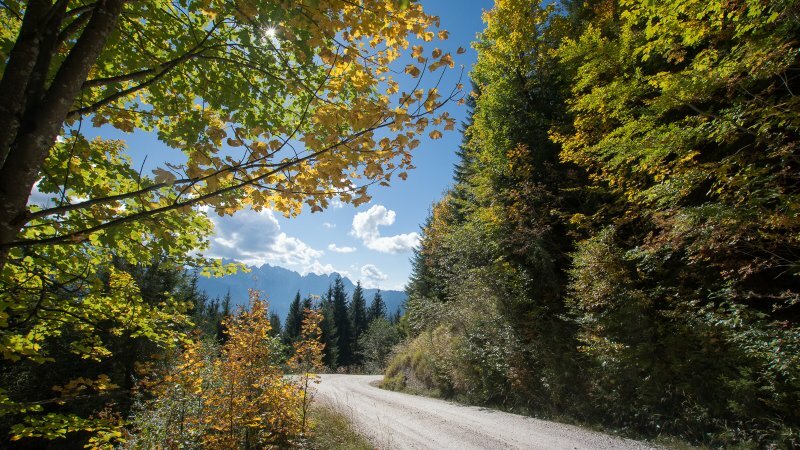 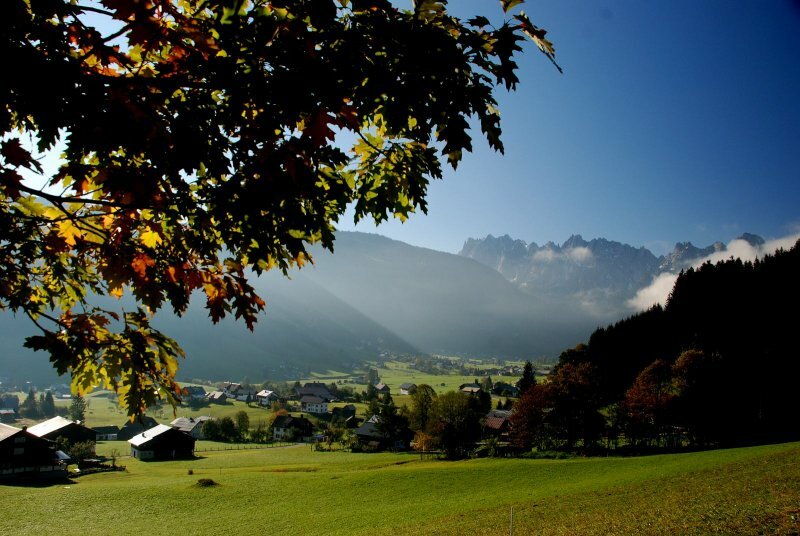 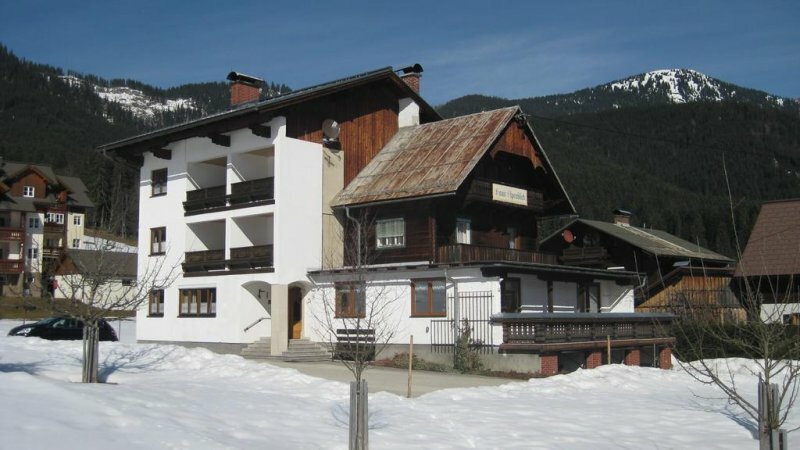 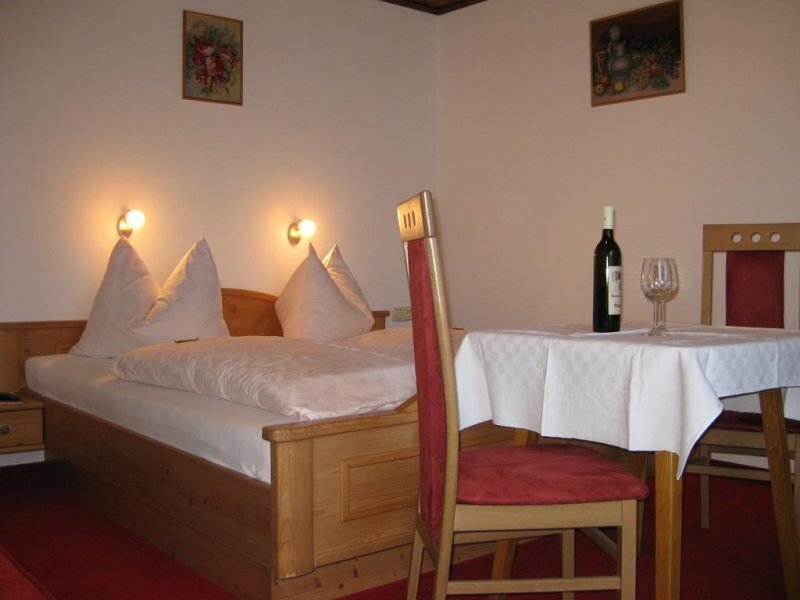 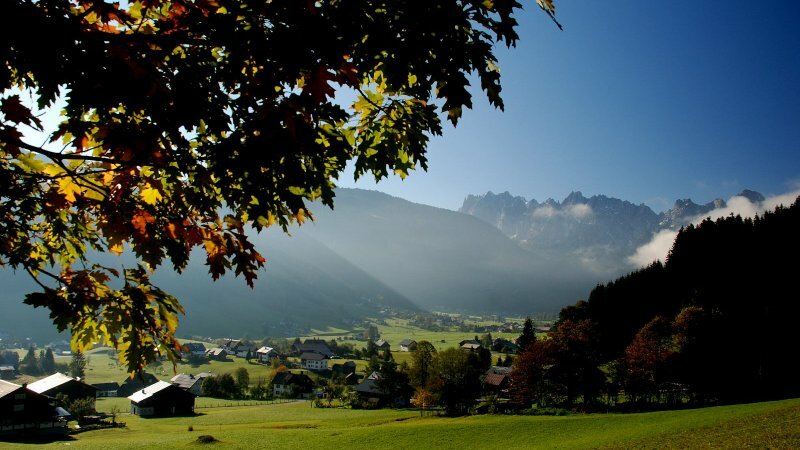 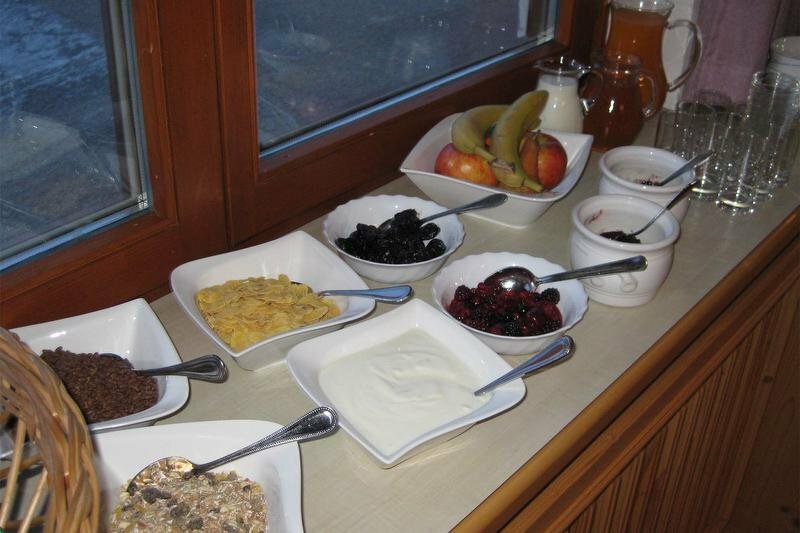 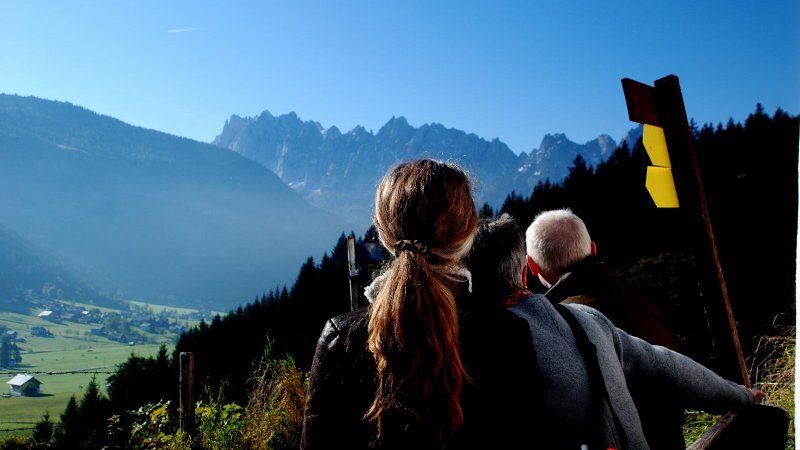 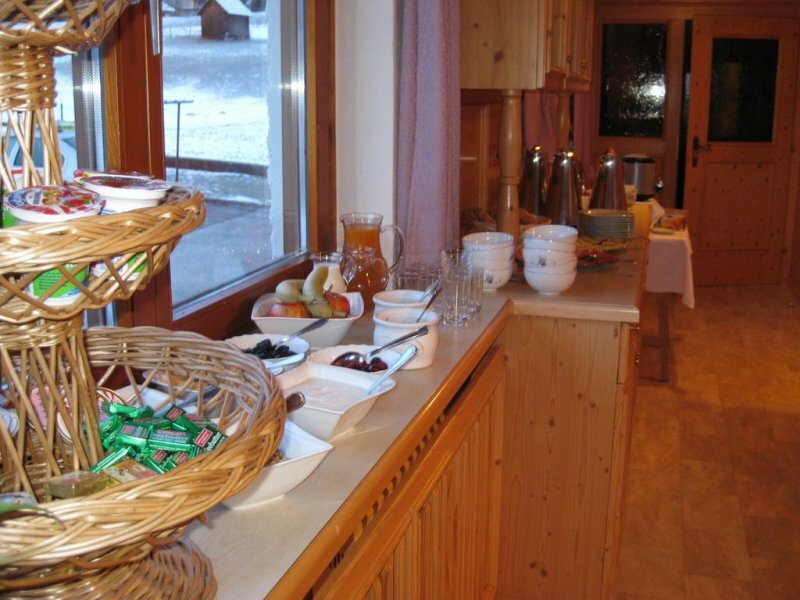 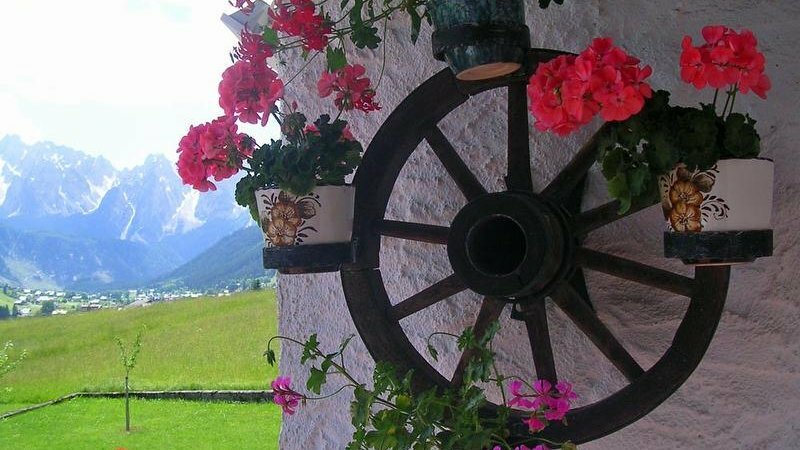 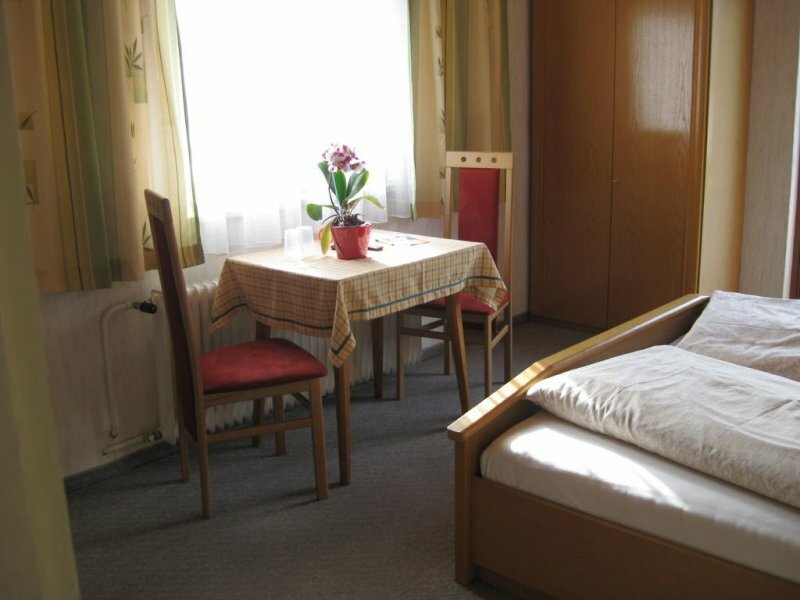 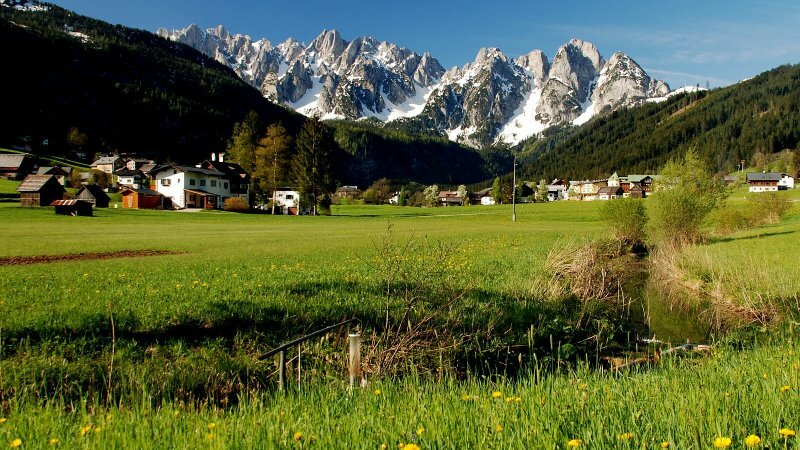 Home Hotels & more Bed & Breakfast Gosau B&B "Alpenblick"
Only a 5-minute walk away from Gosau’s centre, the Alpenblick offers a sun terrace with a view of the Alps, and guests can visit the Dachstein-West Ski Area, located 2 km away. 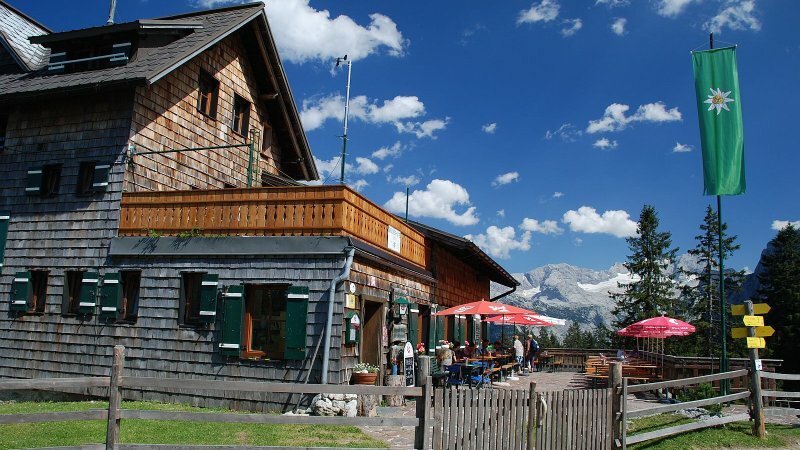 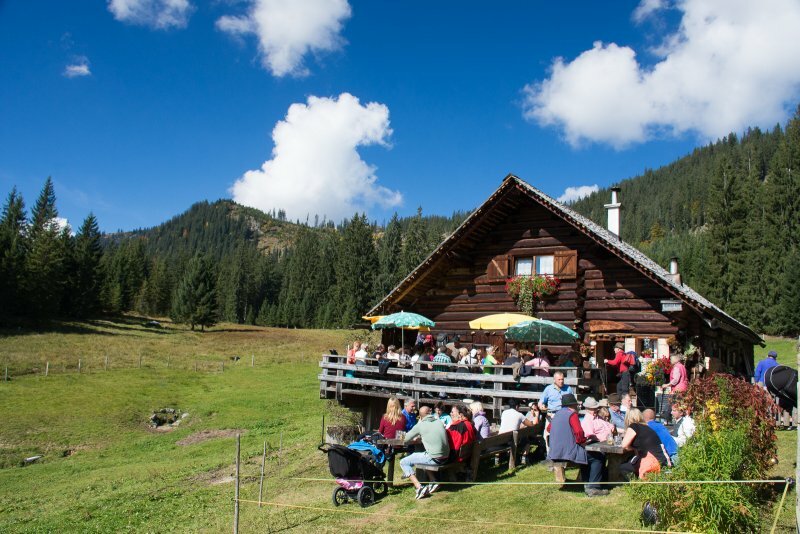 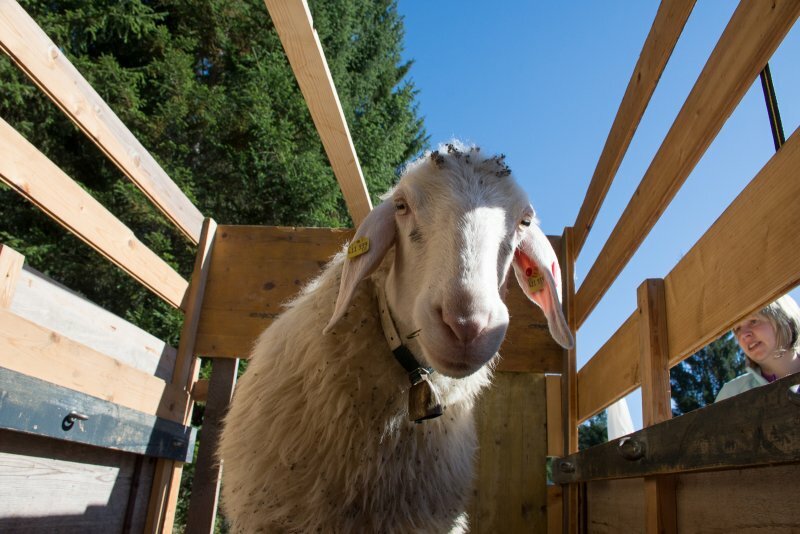 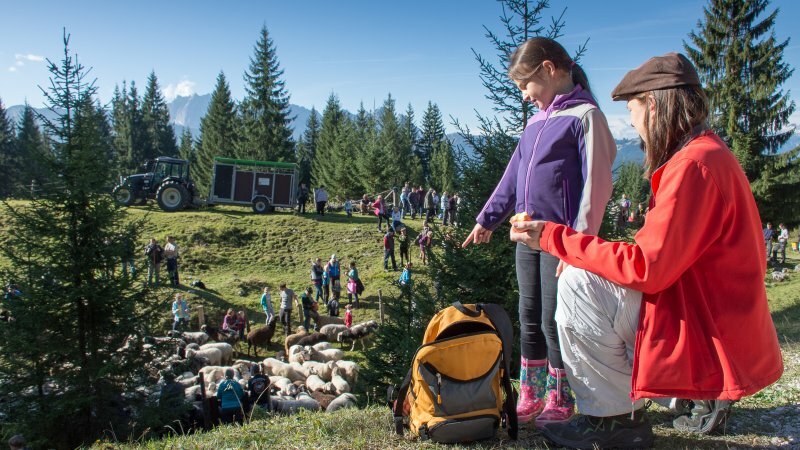 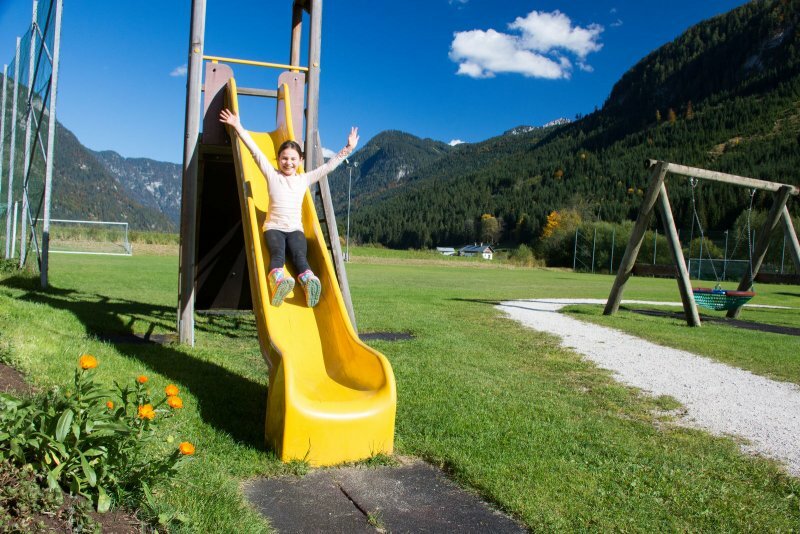 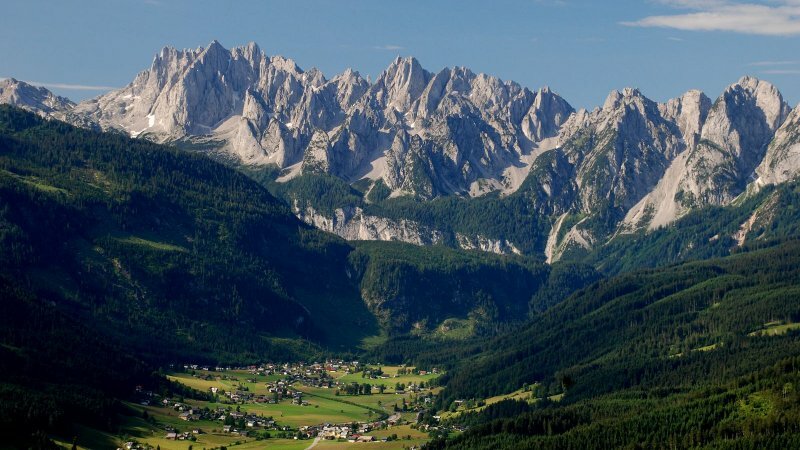 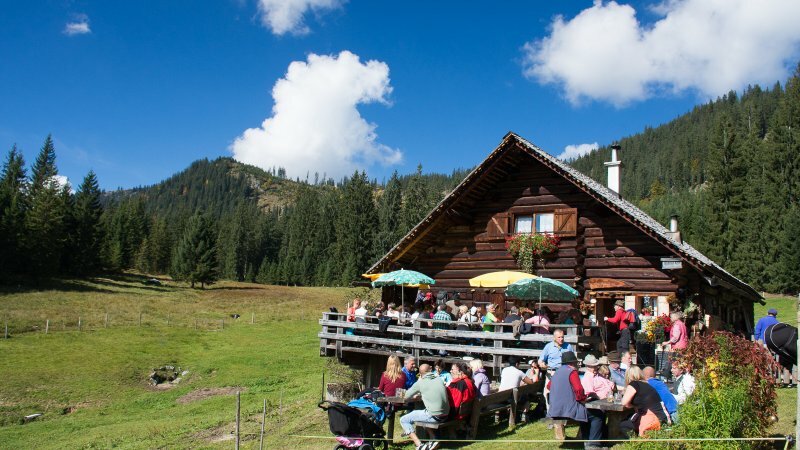 Only a 5-minute walk away from Gosau’s centre, the Alpenblick offers a sun terrace with a view of the Alps, and guests can visit the Dachstein-West Ski Area, located 2 km away. 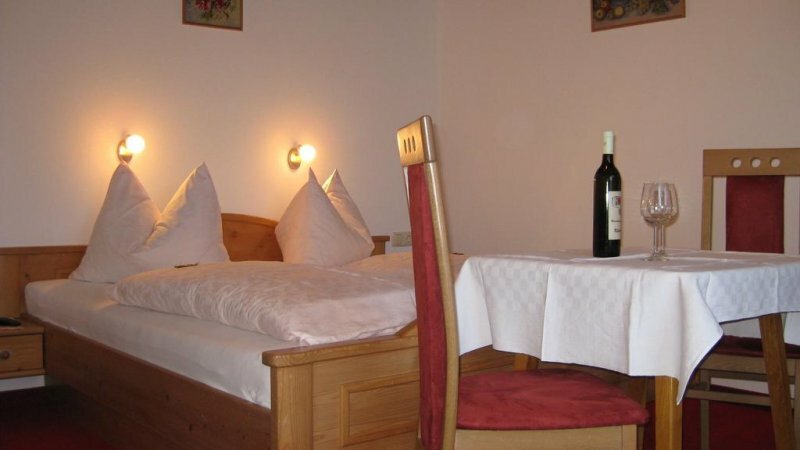 Private balconies are standard in every room, and all offer a view of the surrounding mountains. 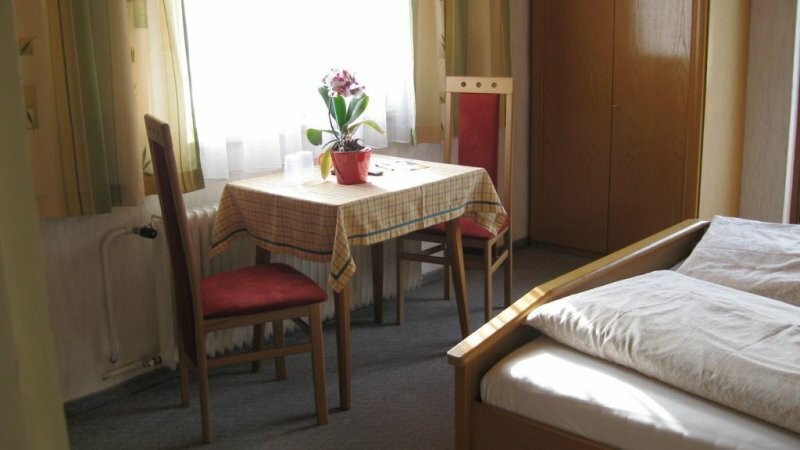 Each room is equipped with satellite TV and electronic safe. 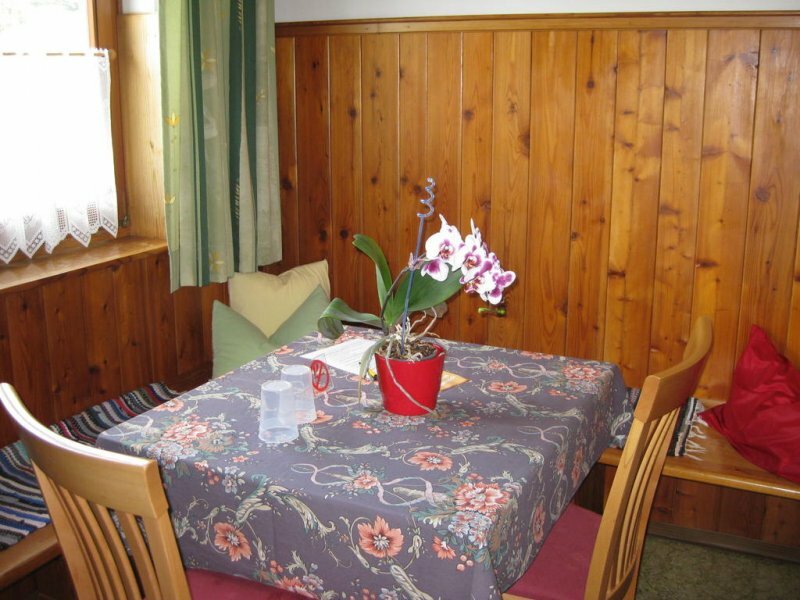 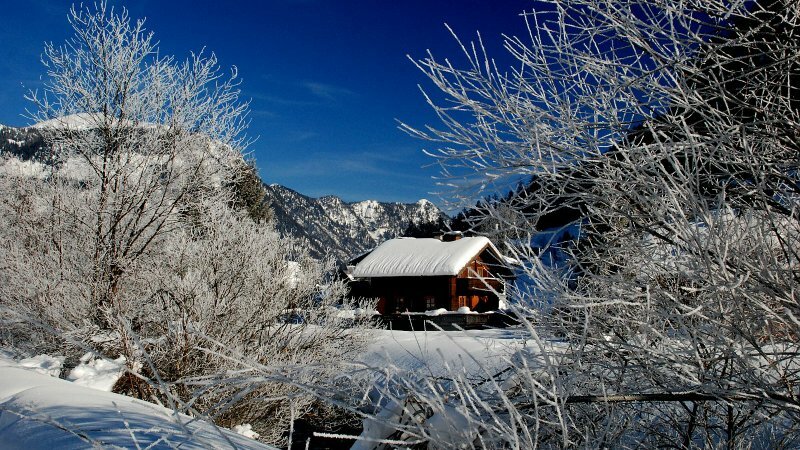 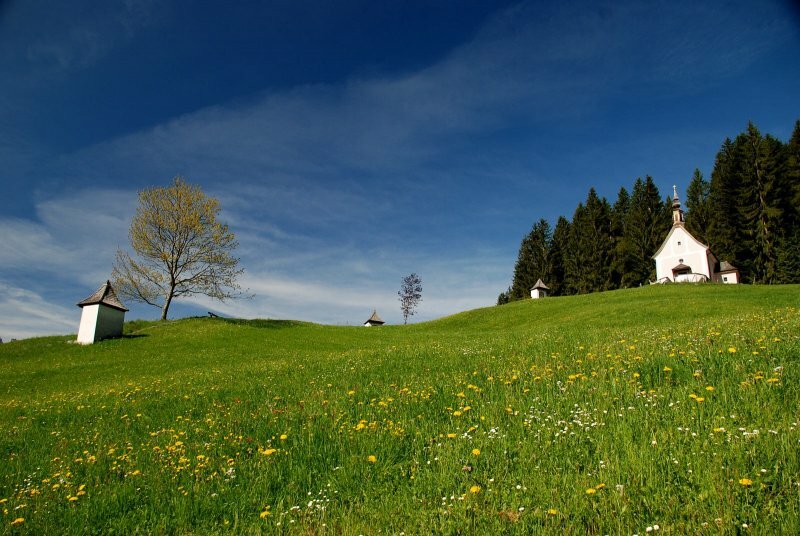 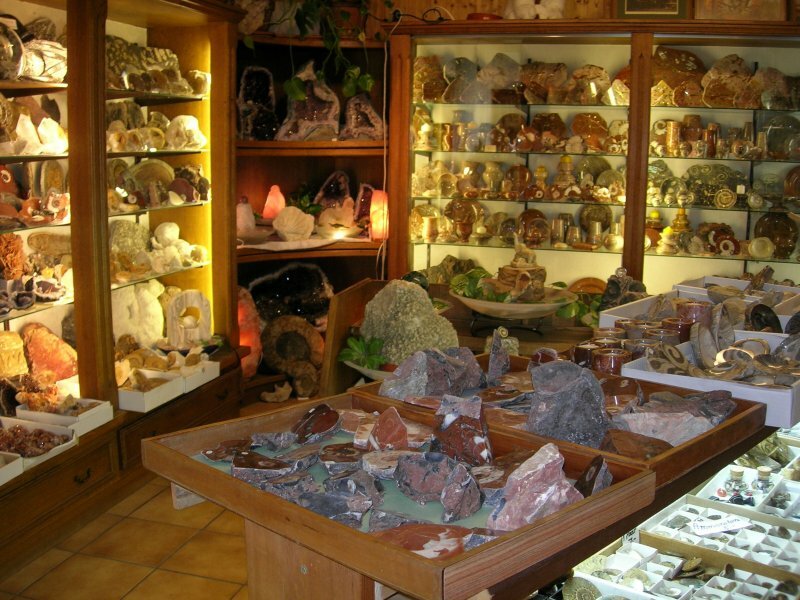 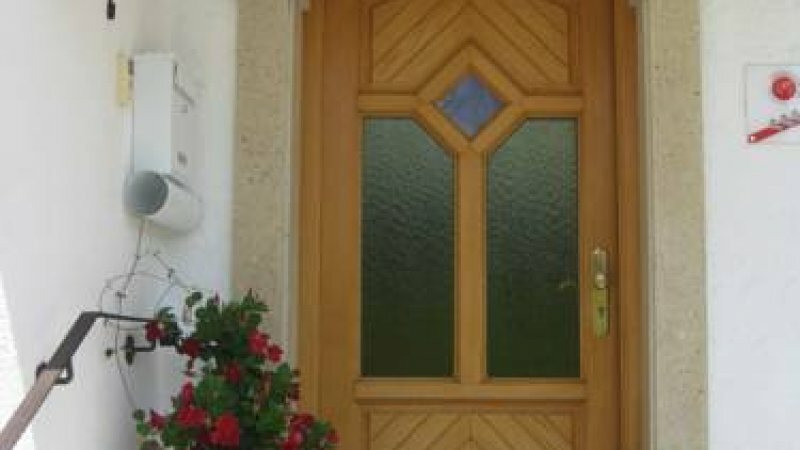 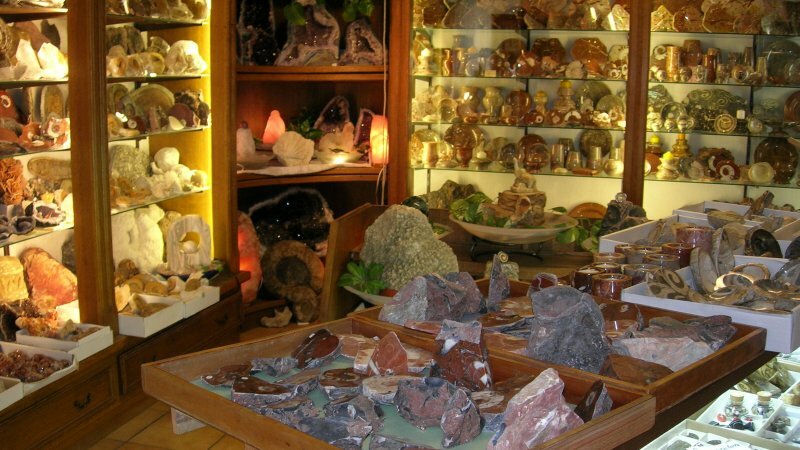 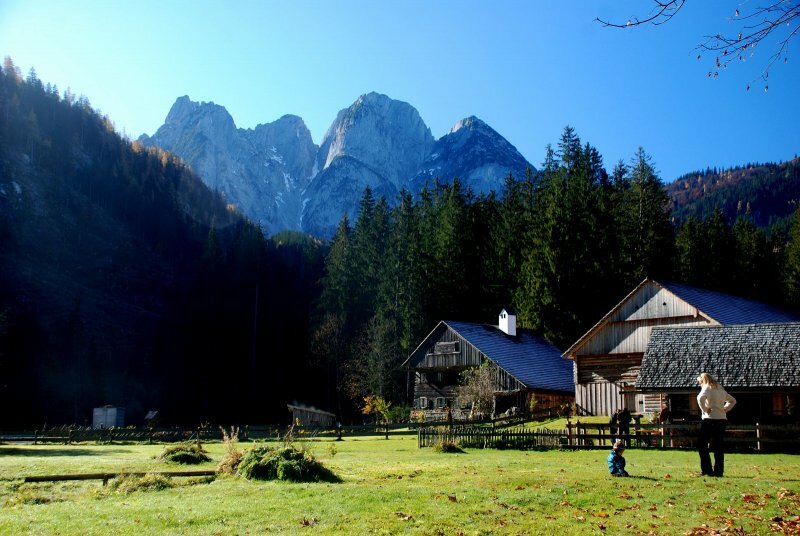 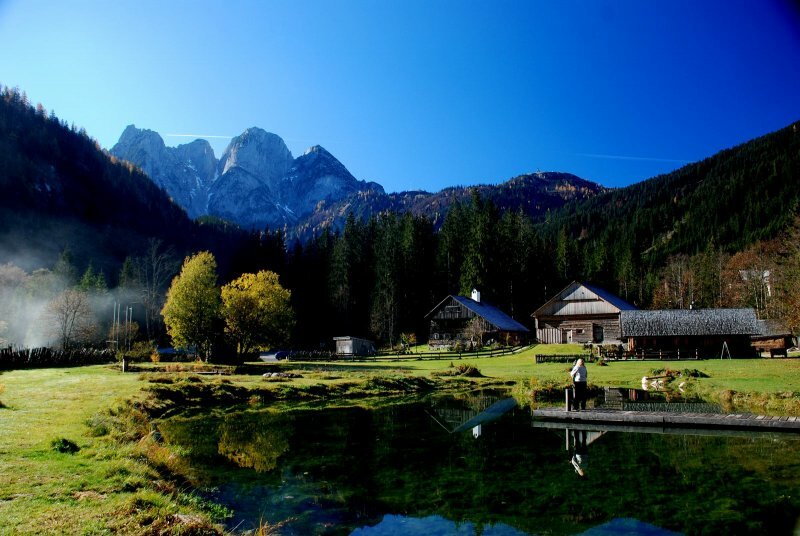 Our house is situated in a calm and sunny location, surrounded by wonderful mountains. 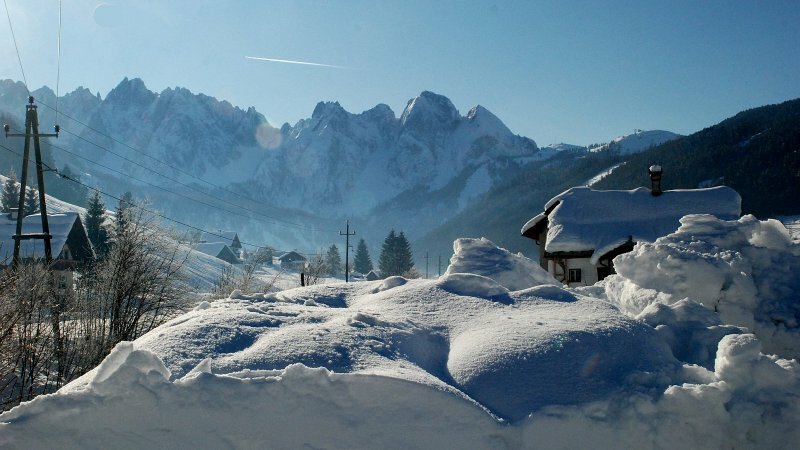 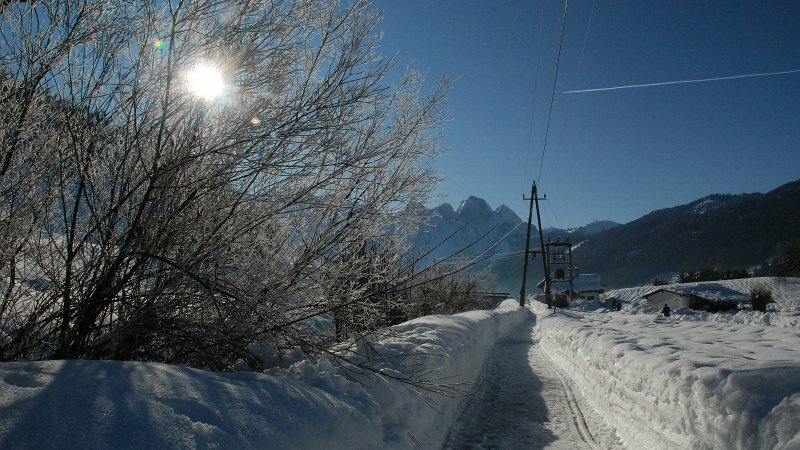 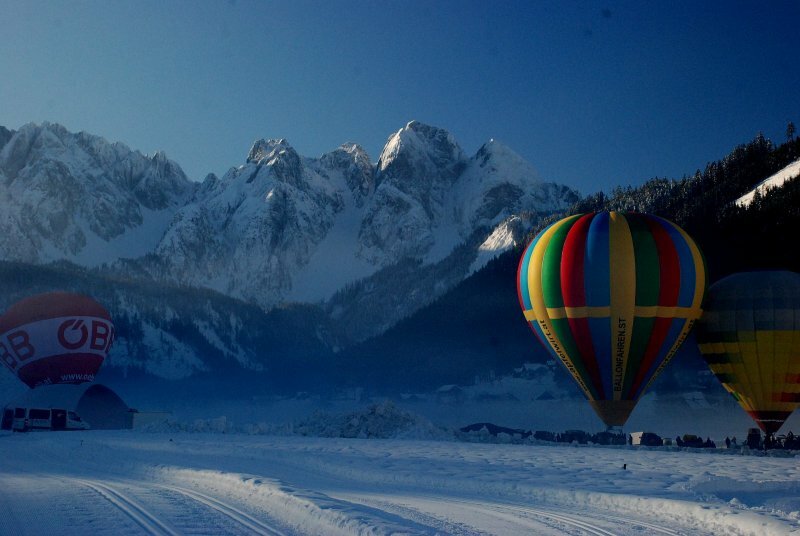 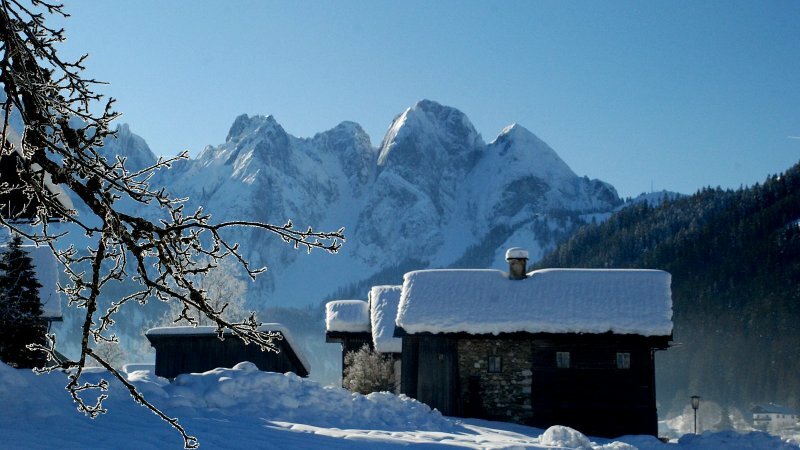 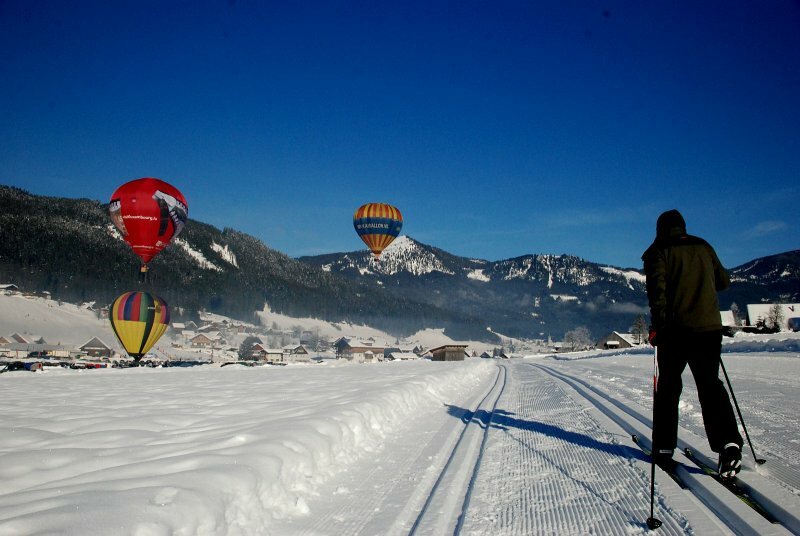 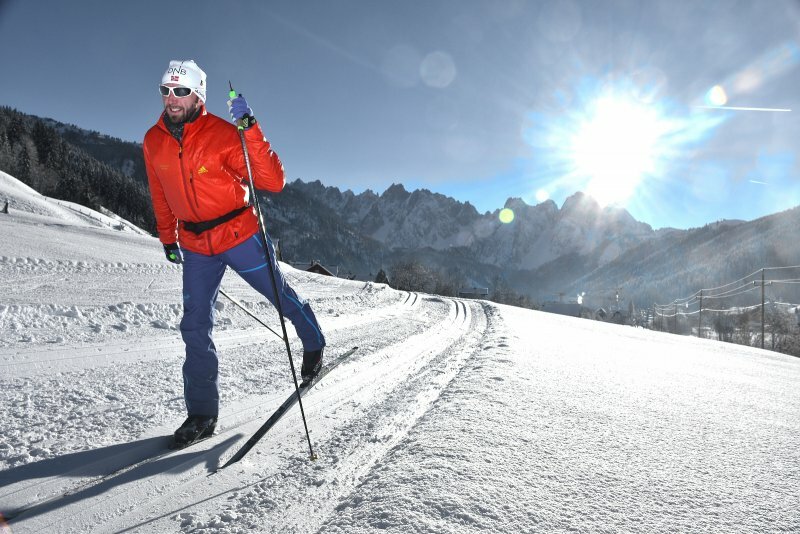 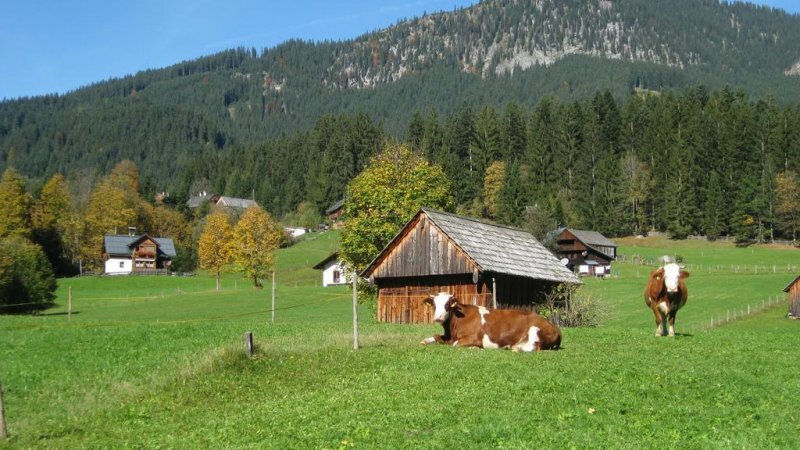 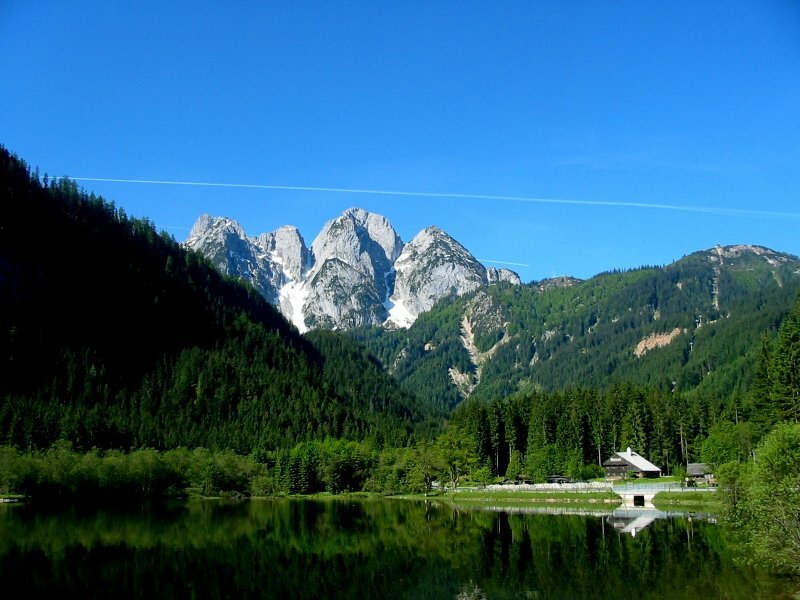 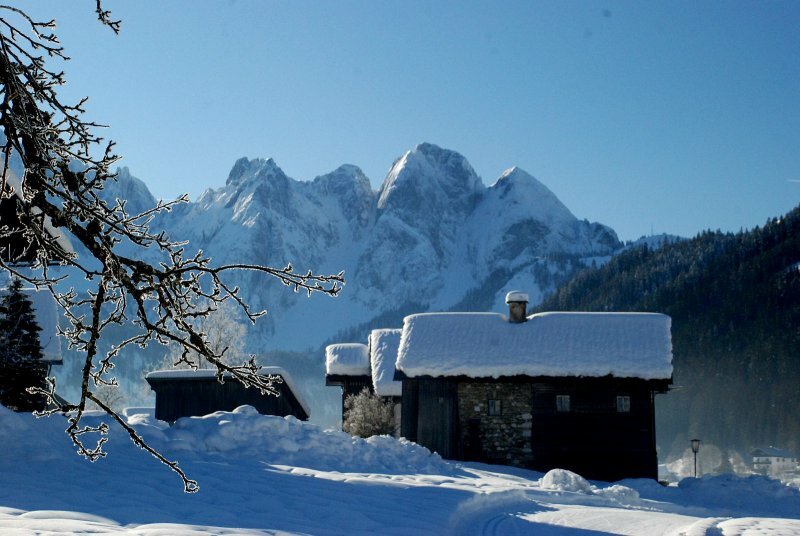 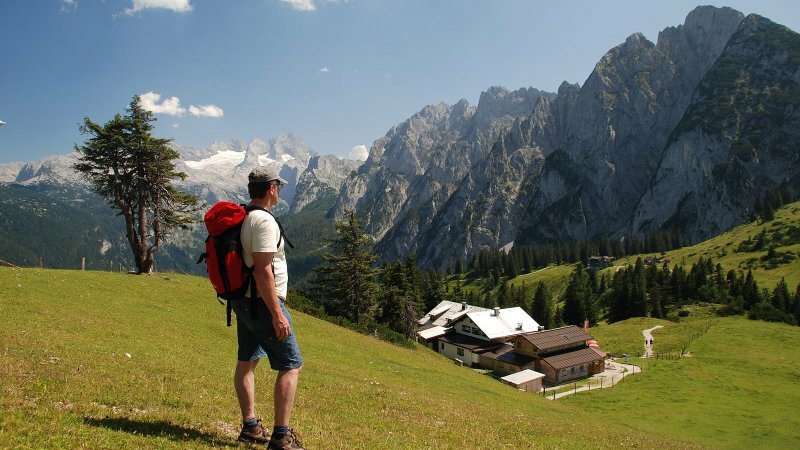 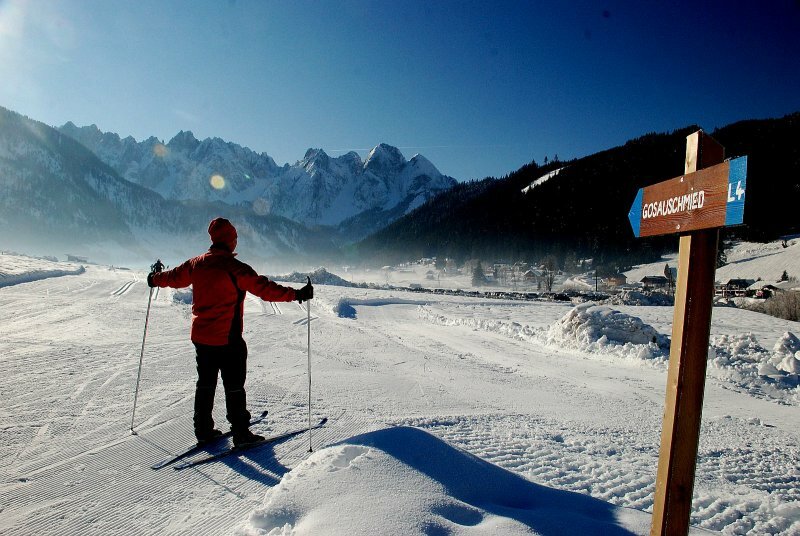 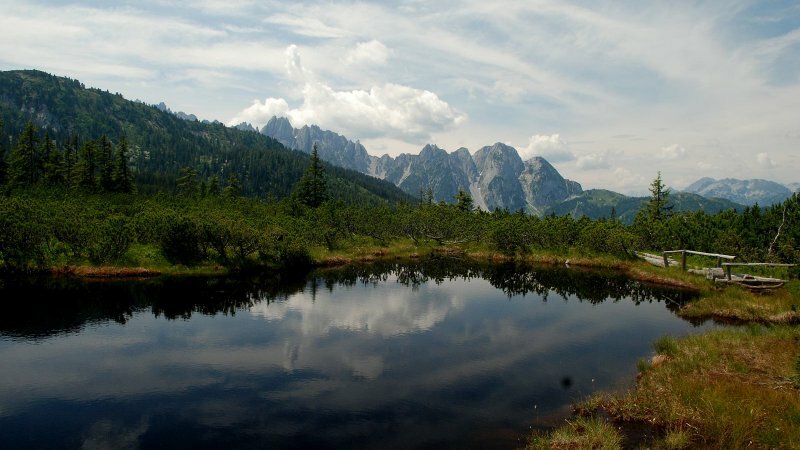 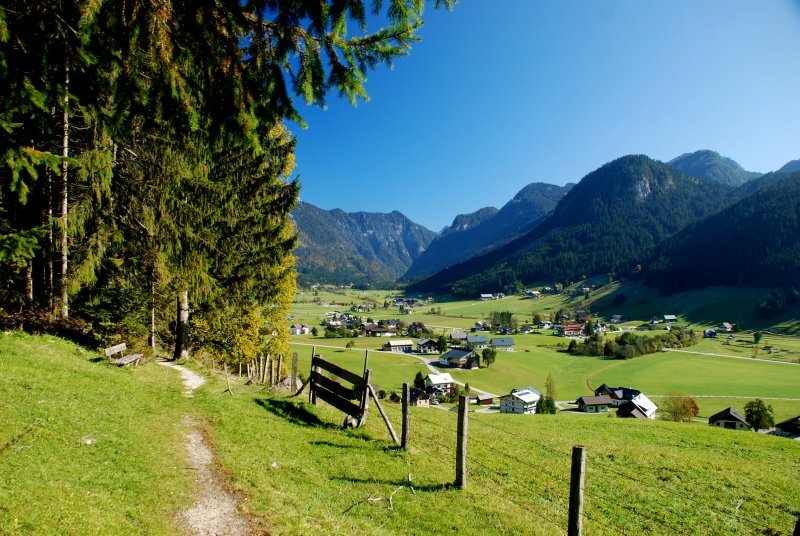 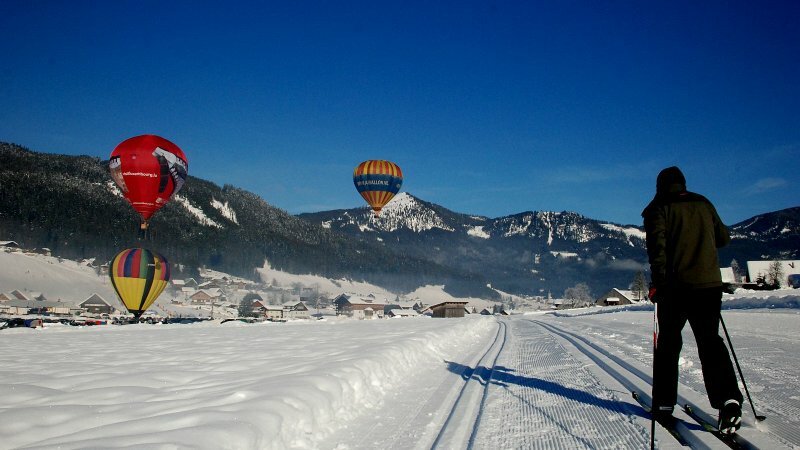 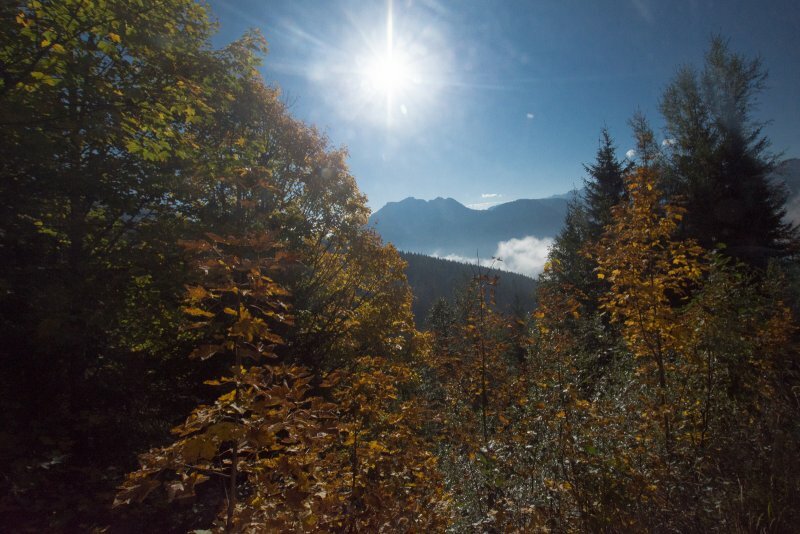 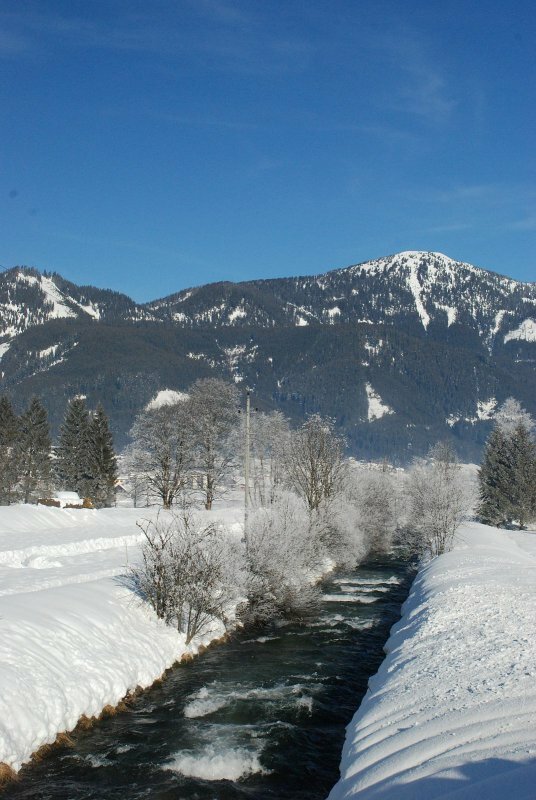 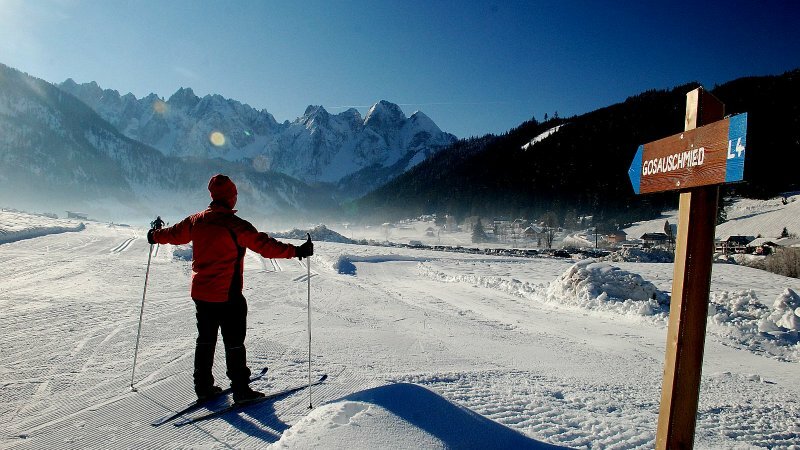 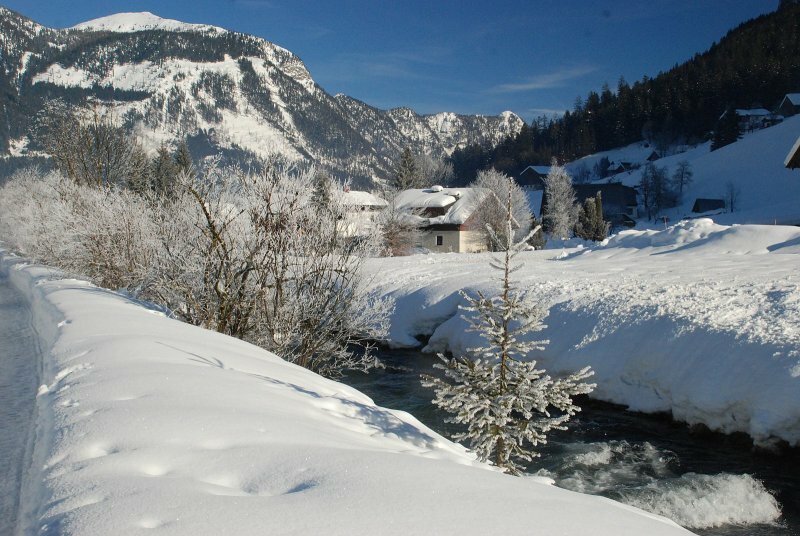 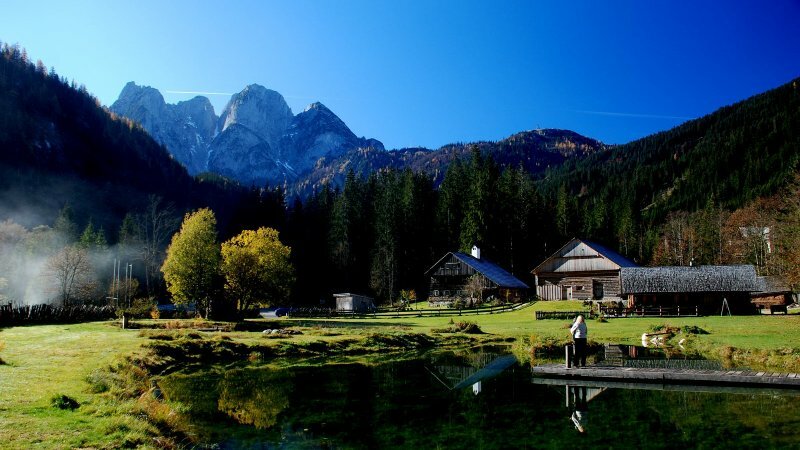 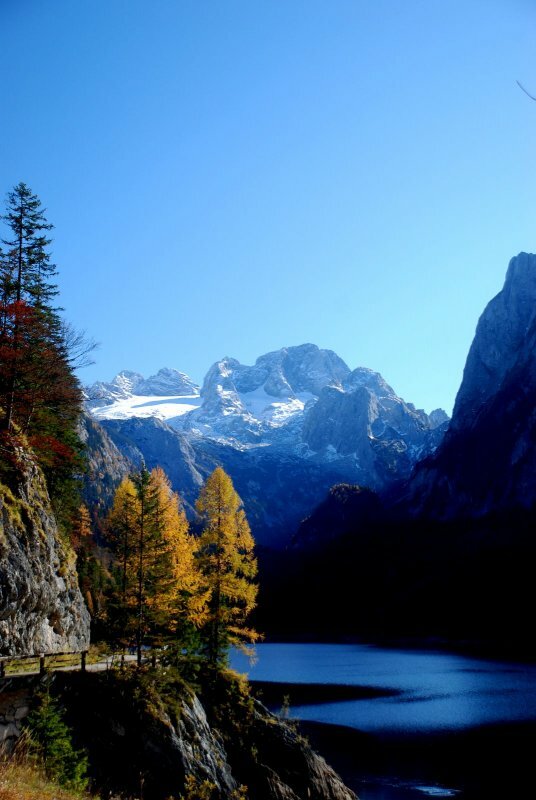 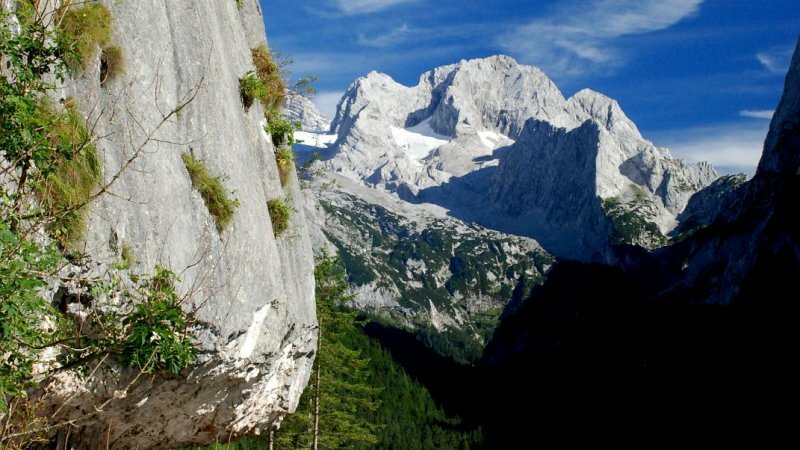 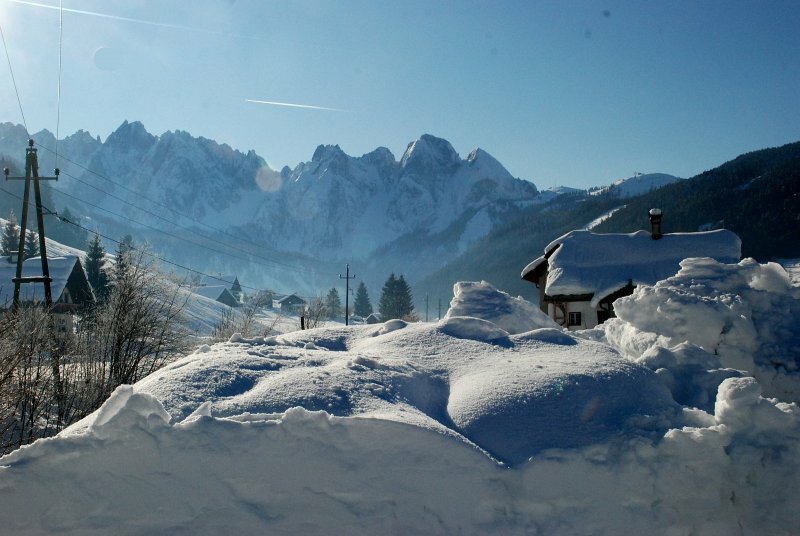 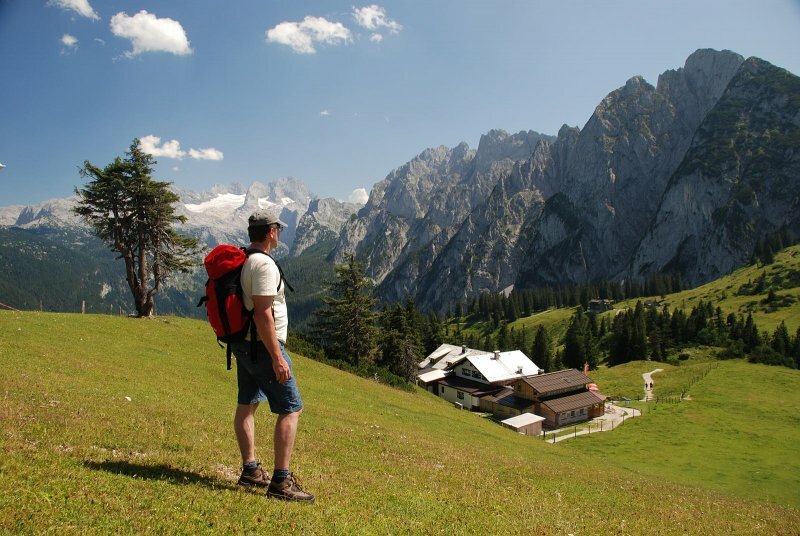 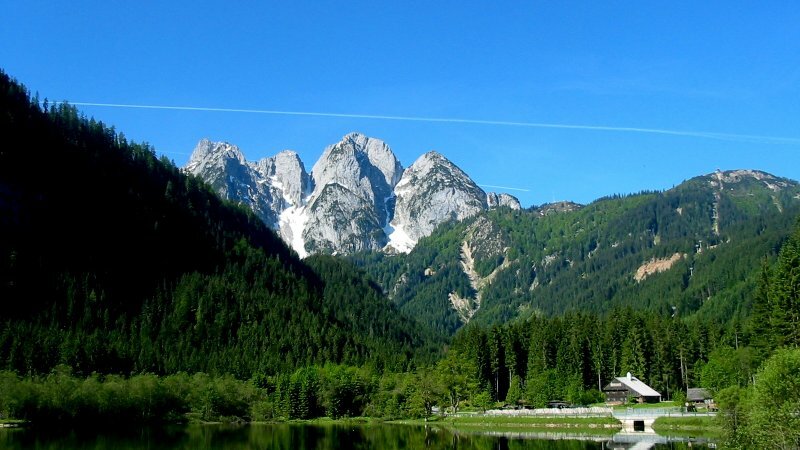 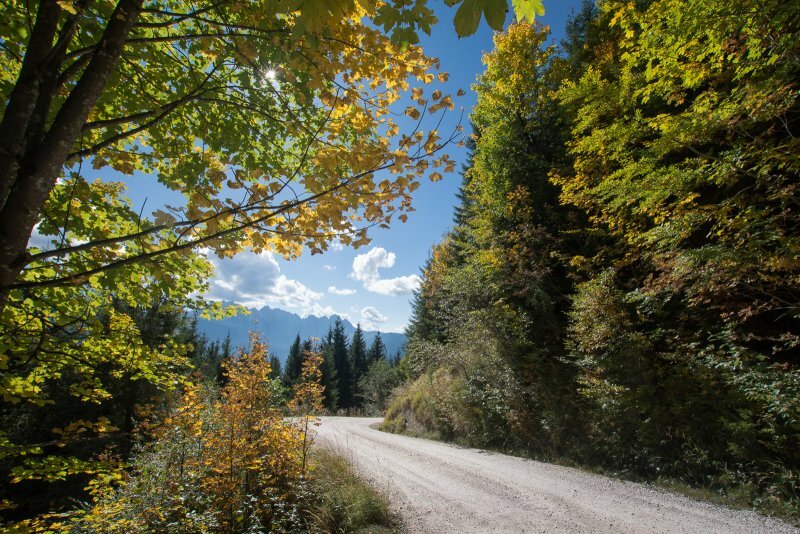 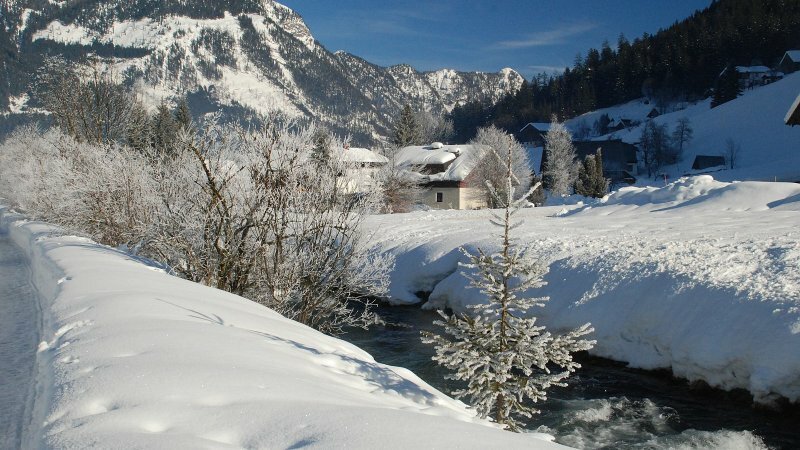 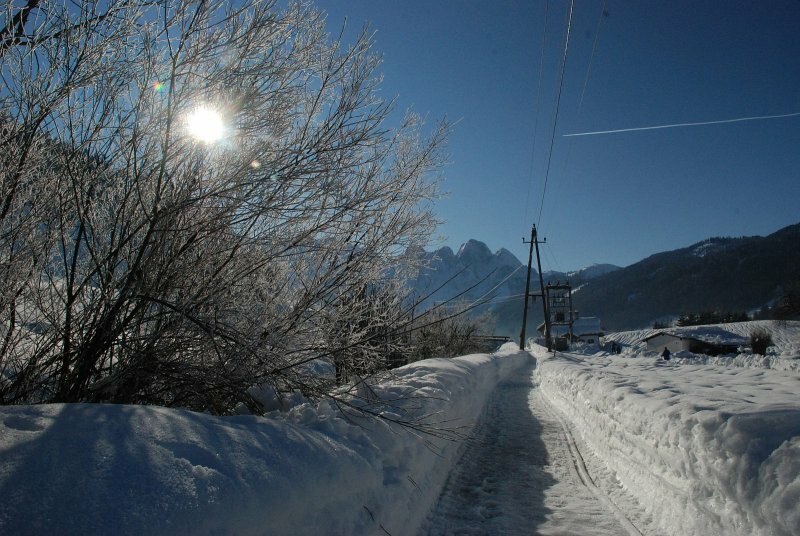 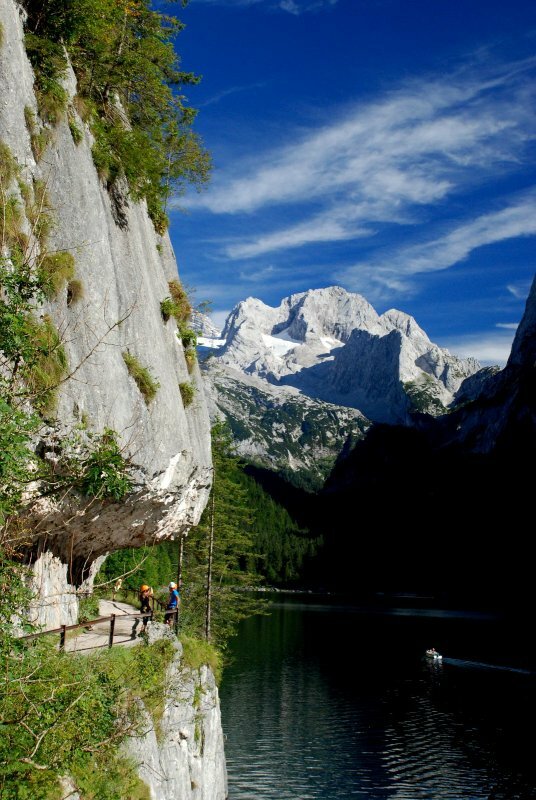 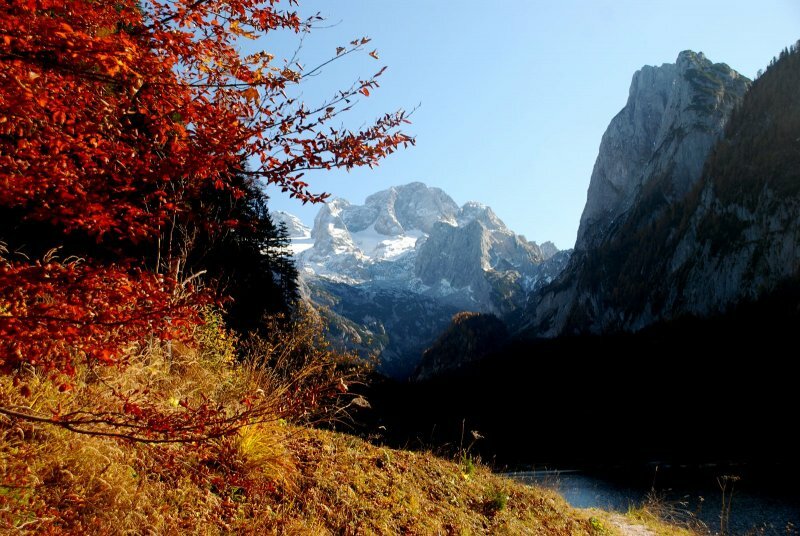 We are still only 5 minutes walk from the center and about 2-3 km from the ski resort Dachstein-West. 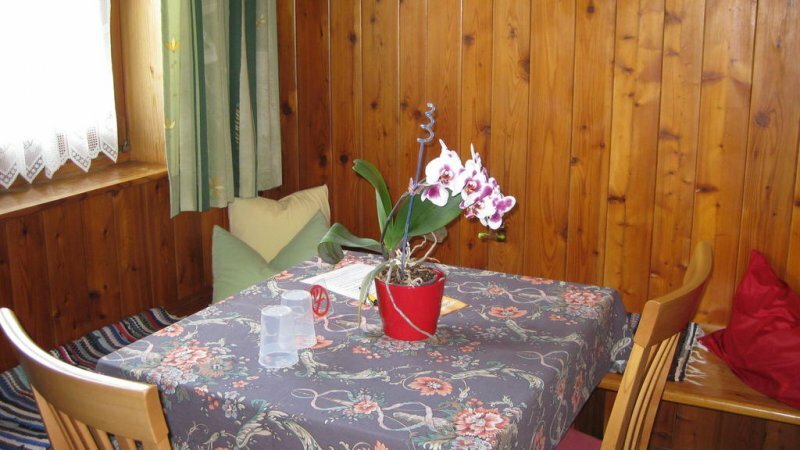 Our house has a sun terrace, a lounge and a large car park. 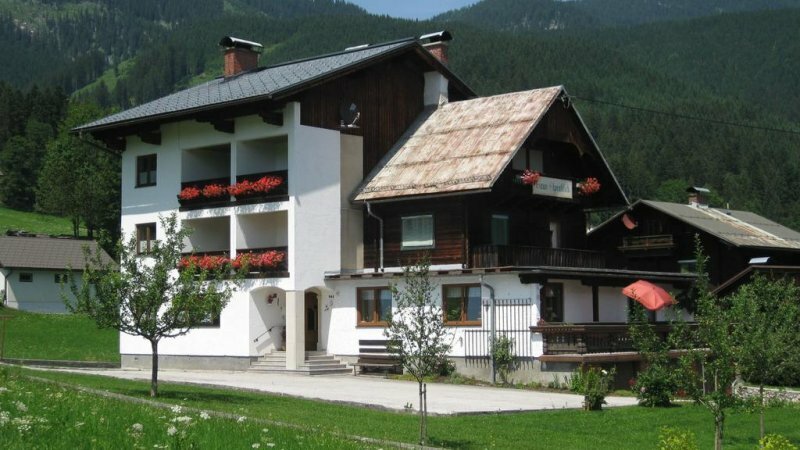 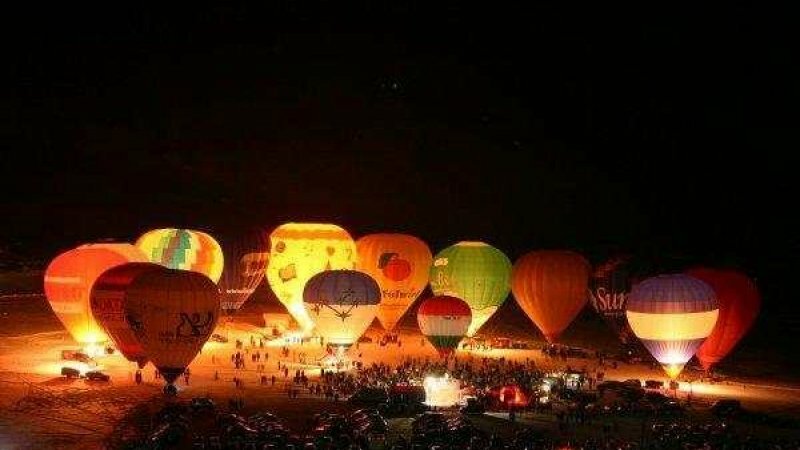 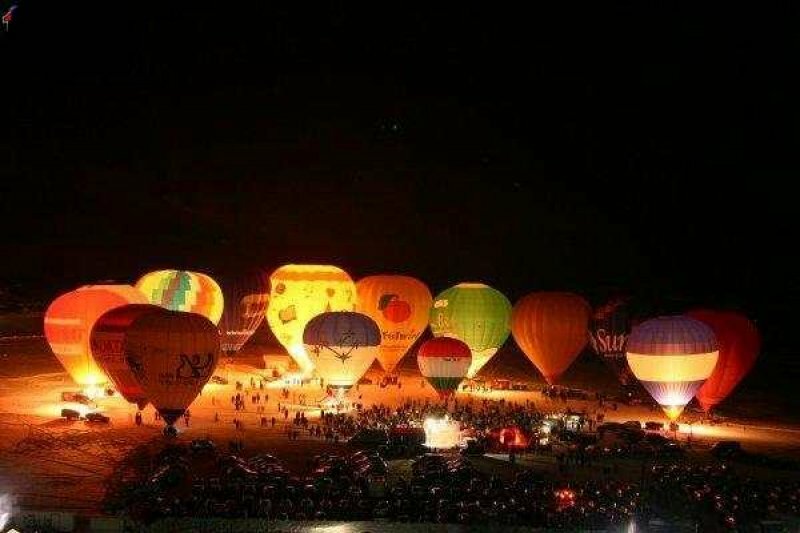 If you just would like to stay one or two nights - No problem! 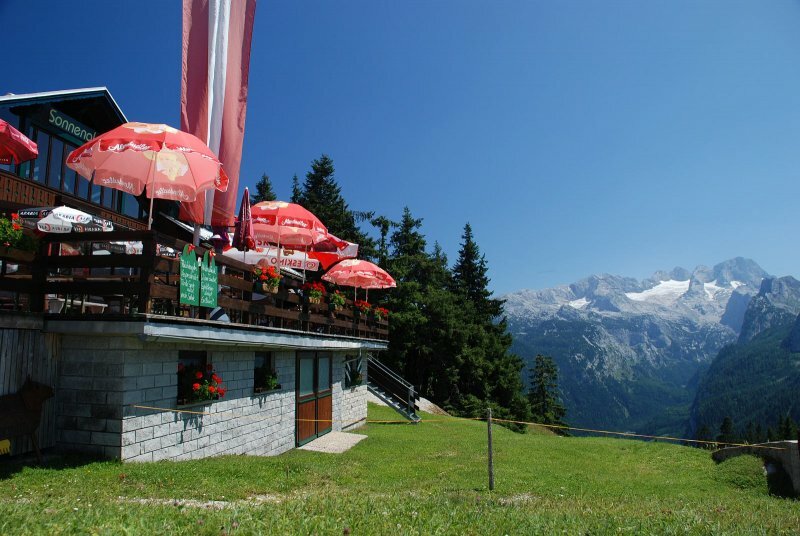 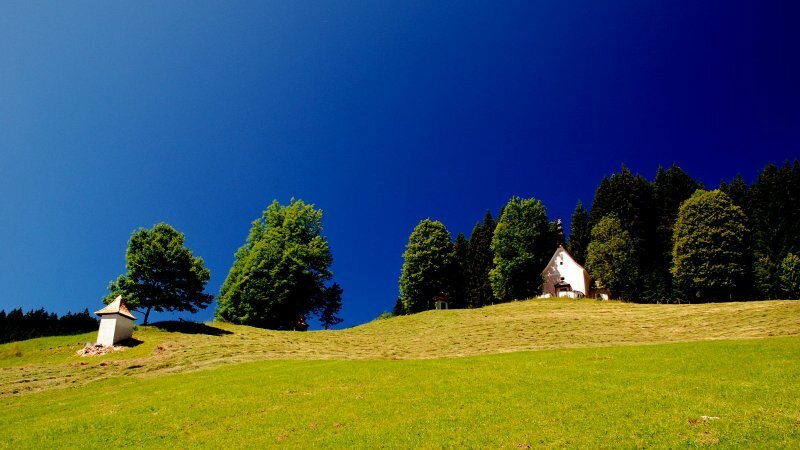 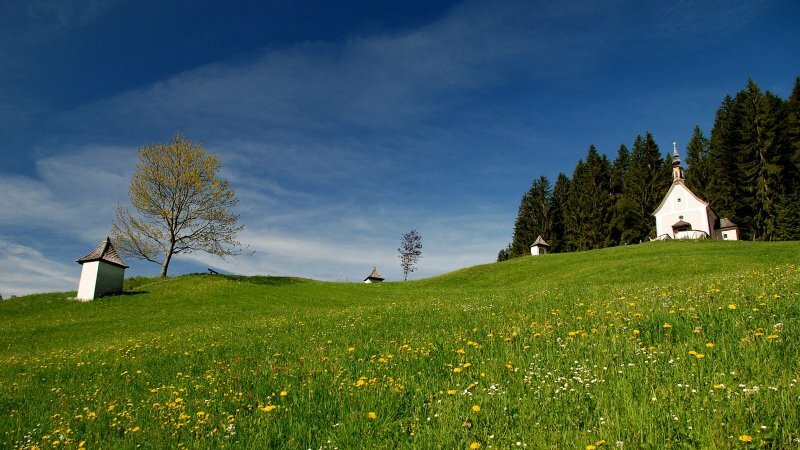 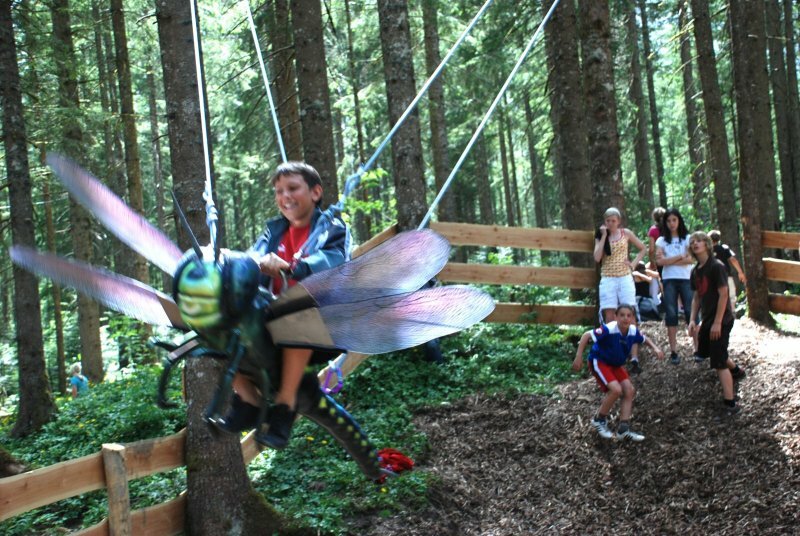 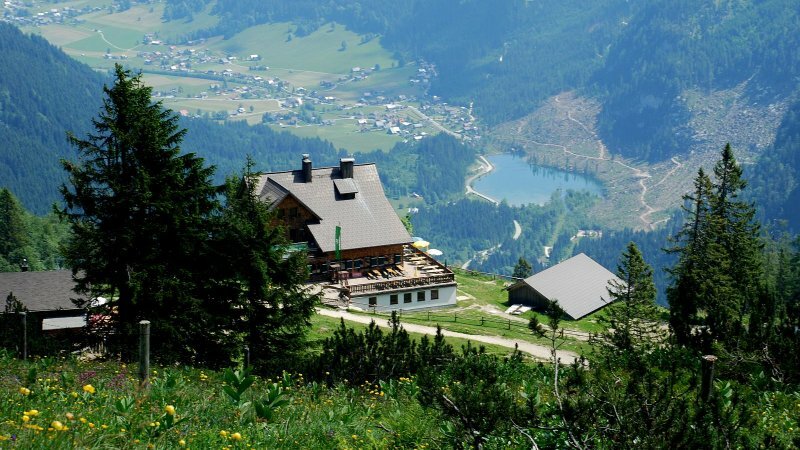 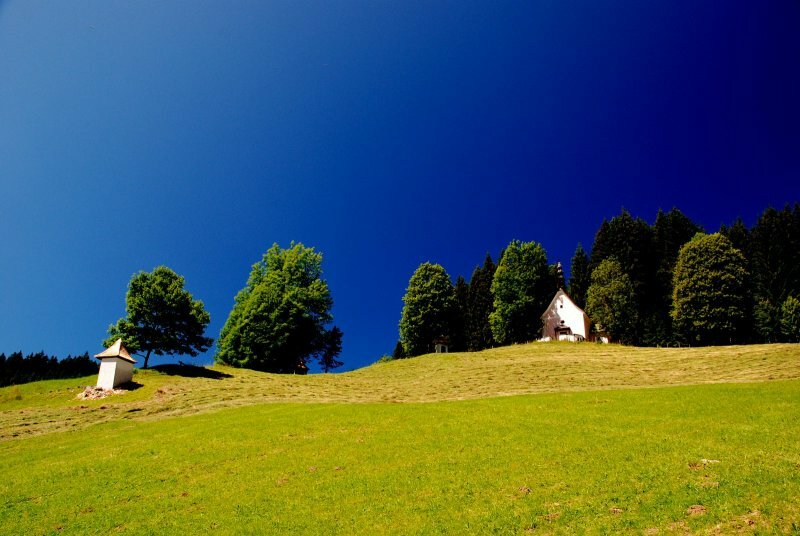 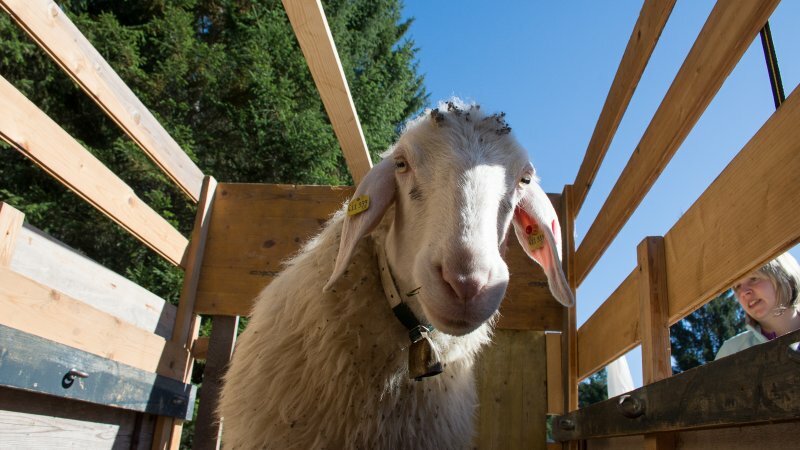 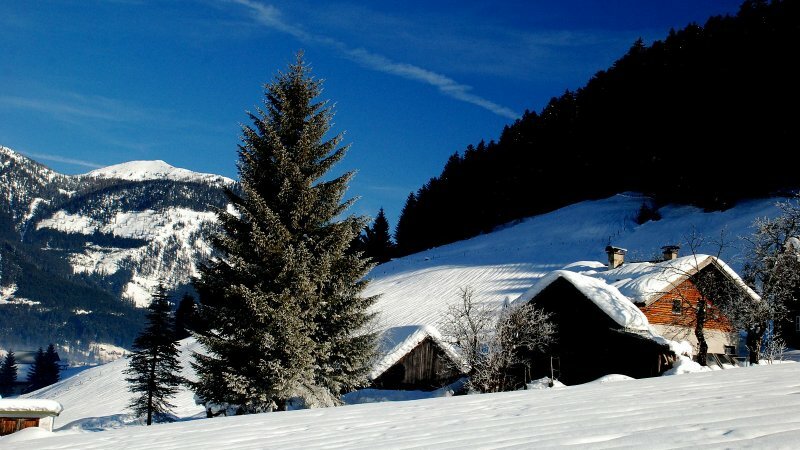 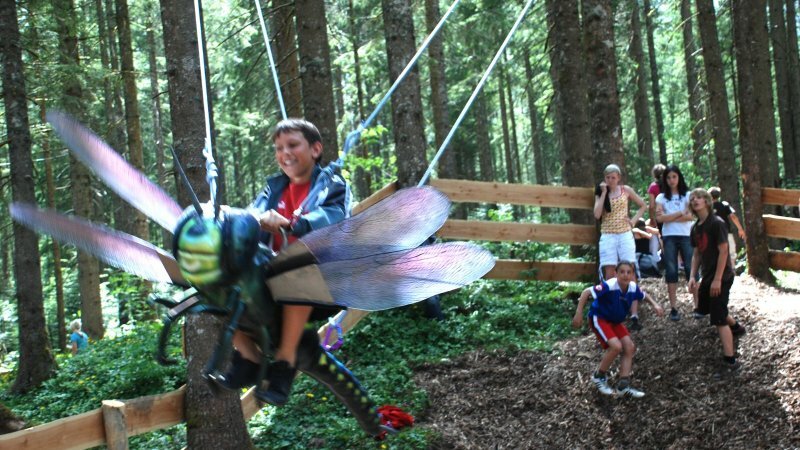 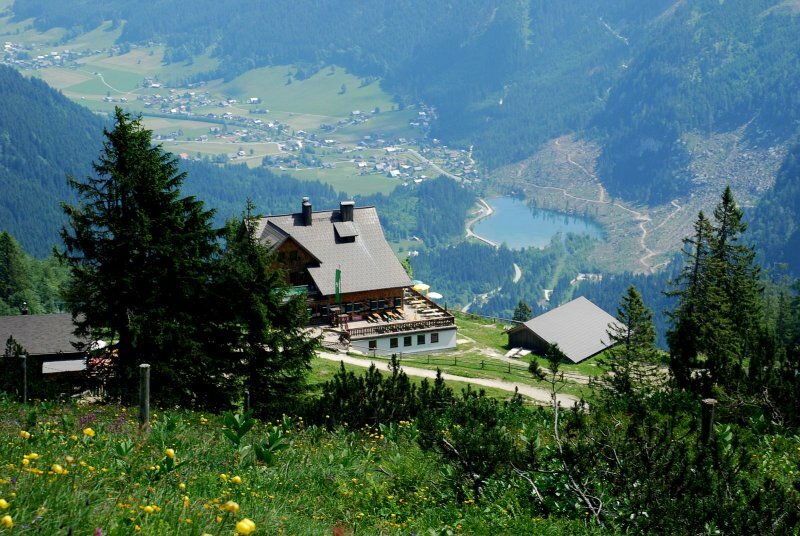 See for yourself and spend relaxing days at Haus Alpenblick. 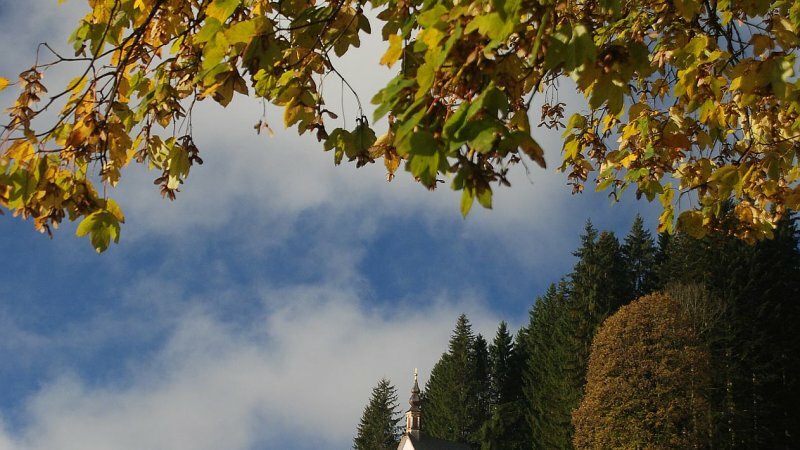 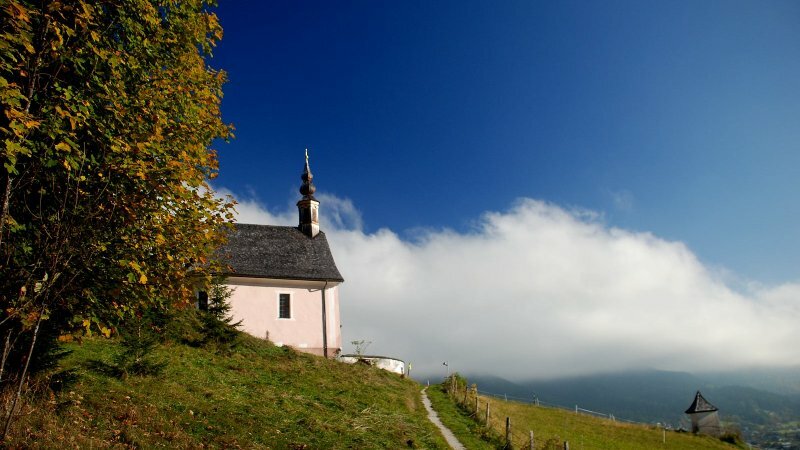 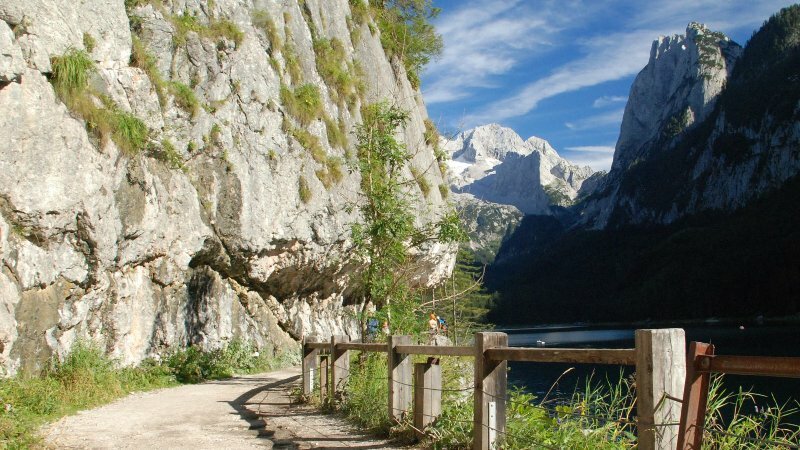 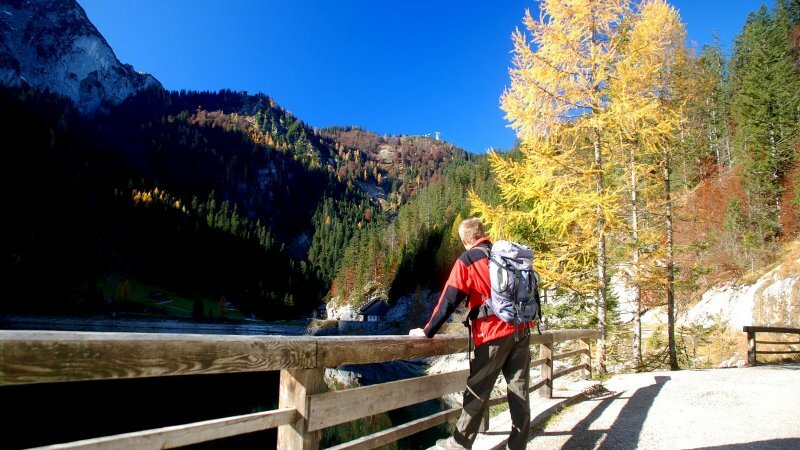 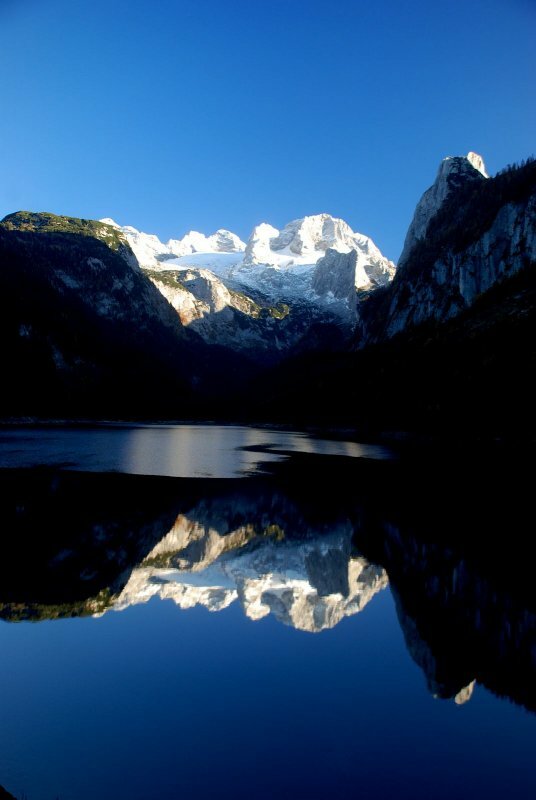 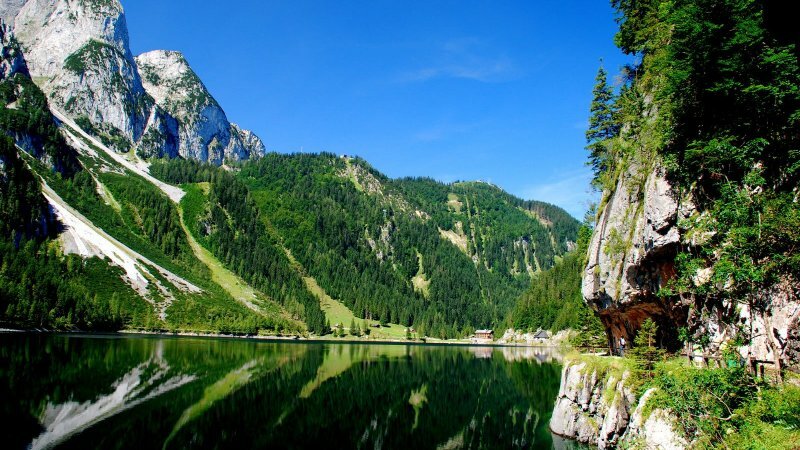 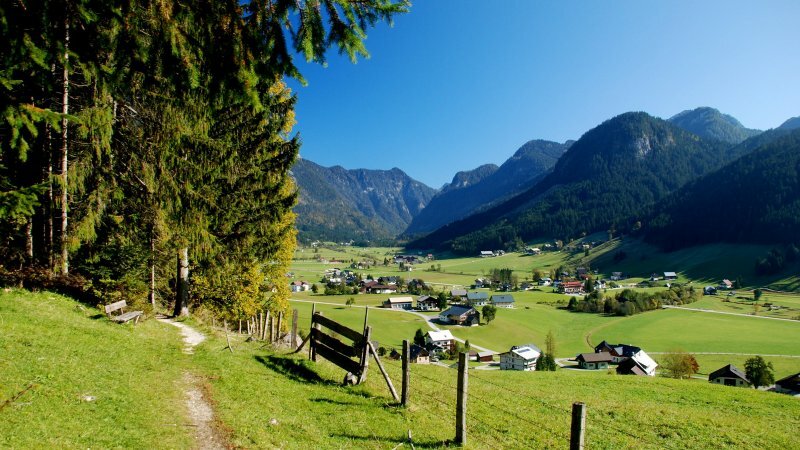 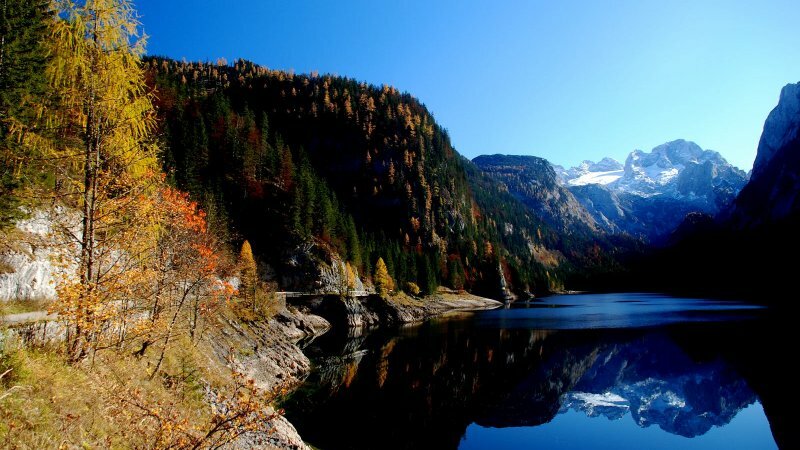 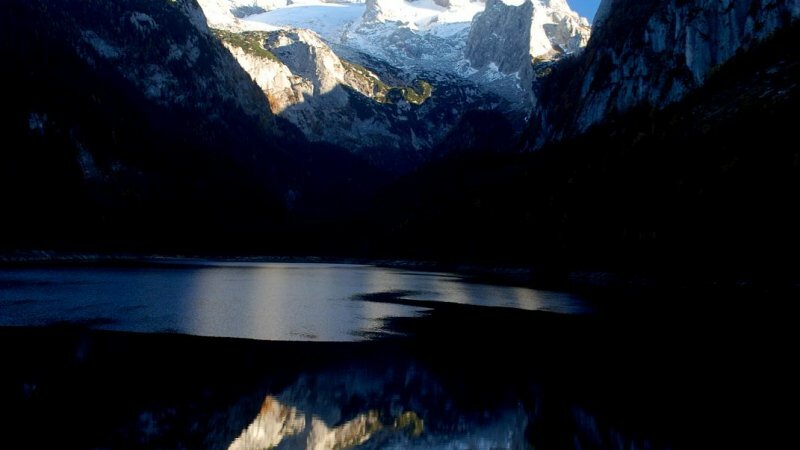 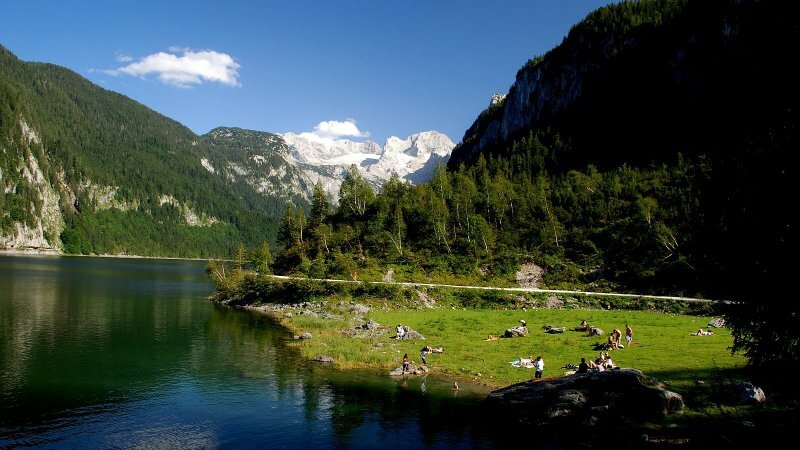 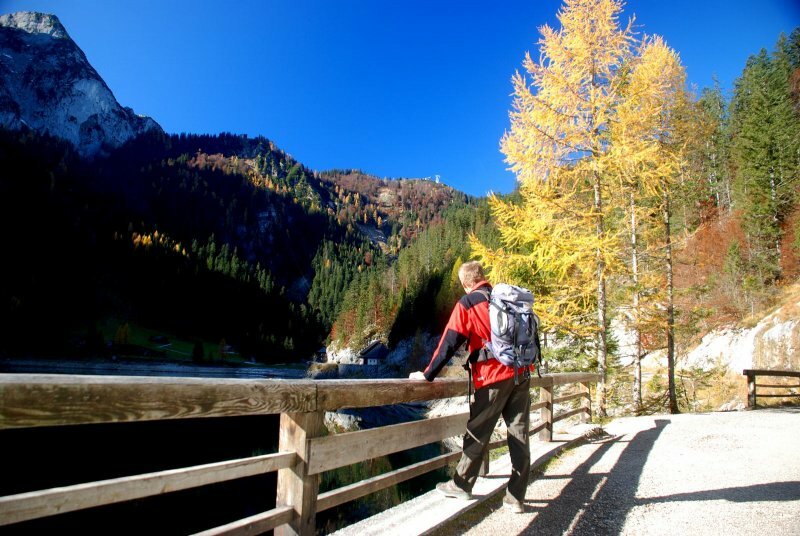 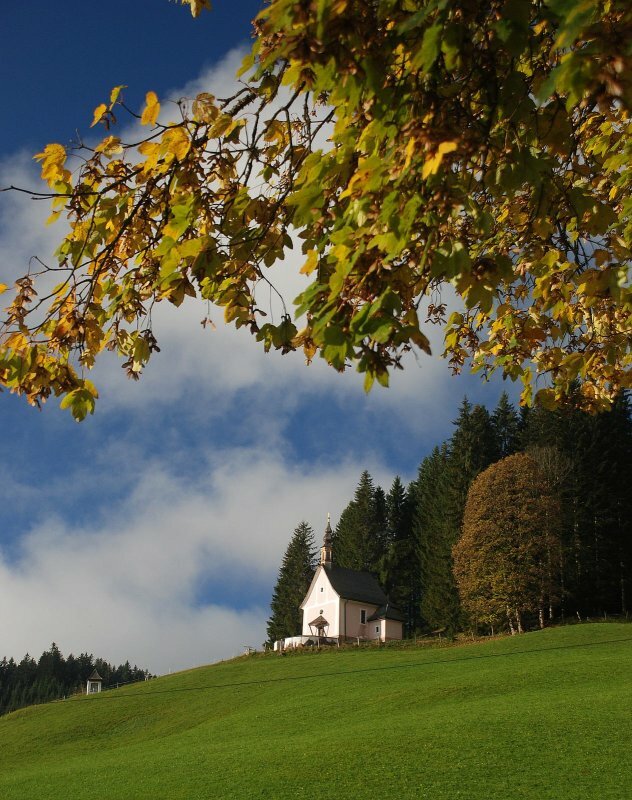 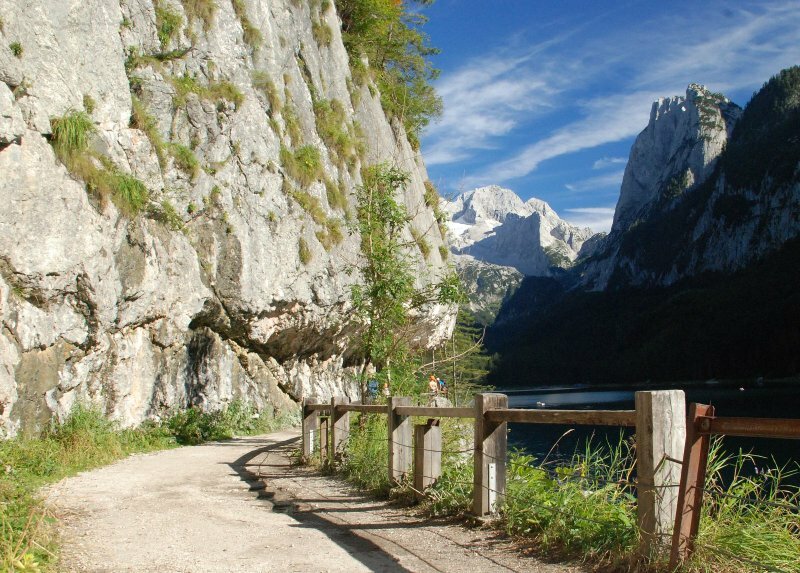 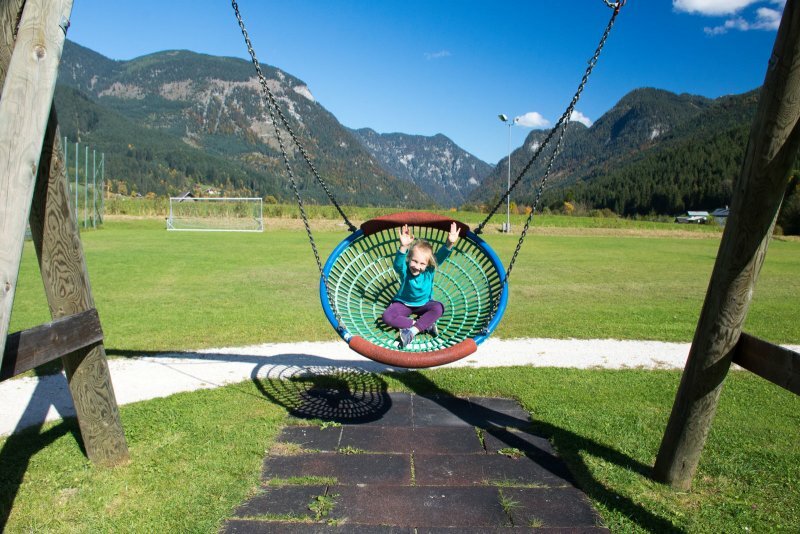 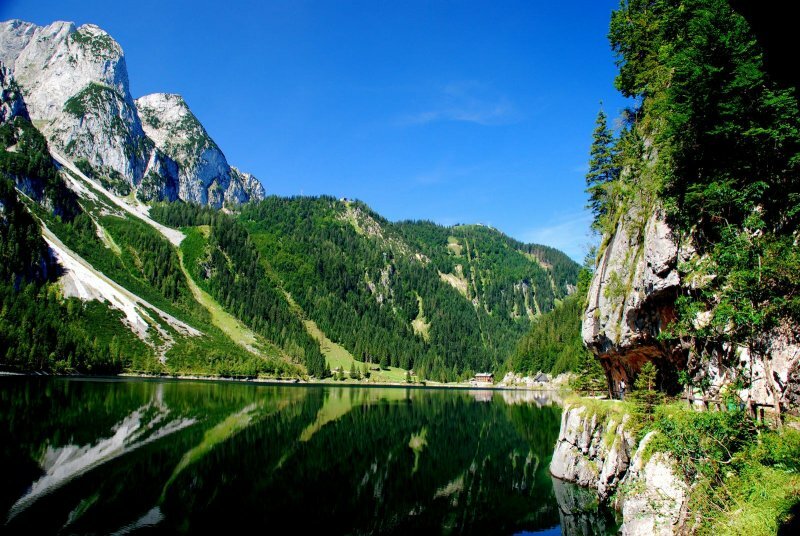 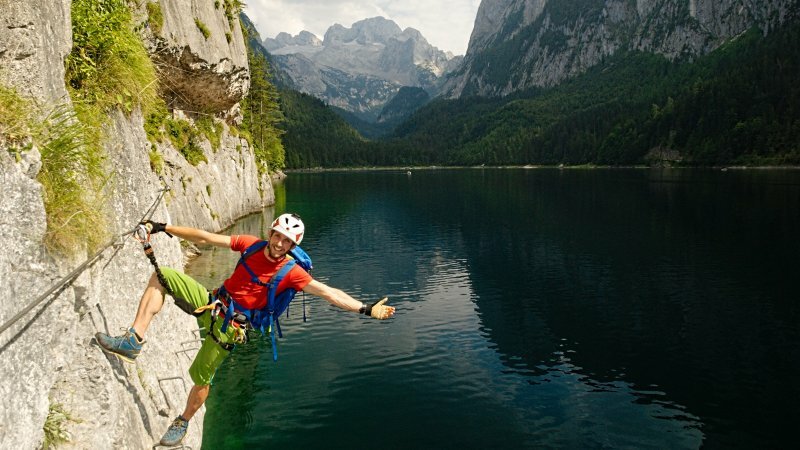 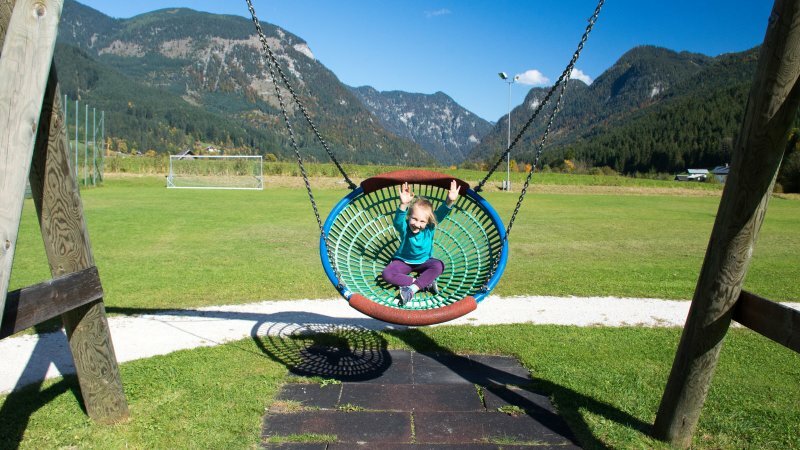 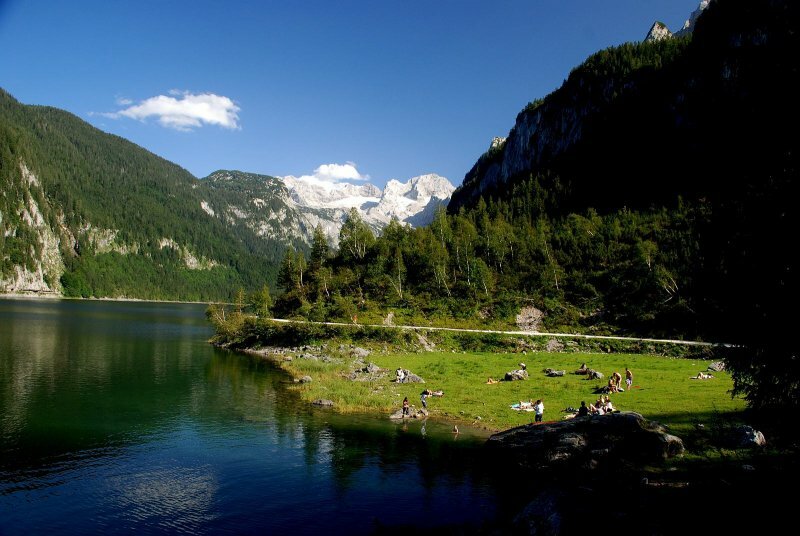 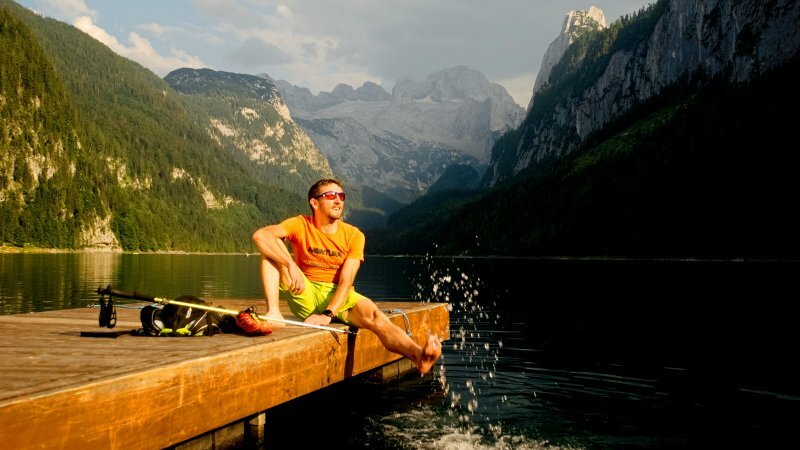 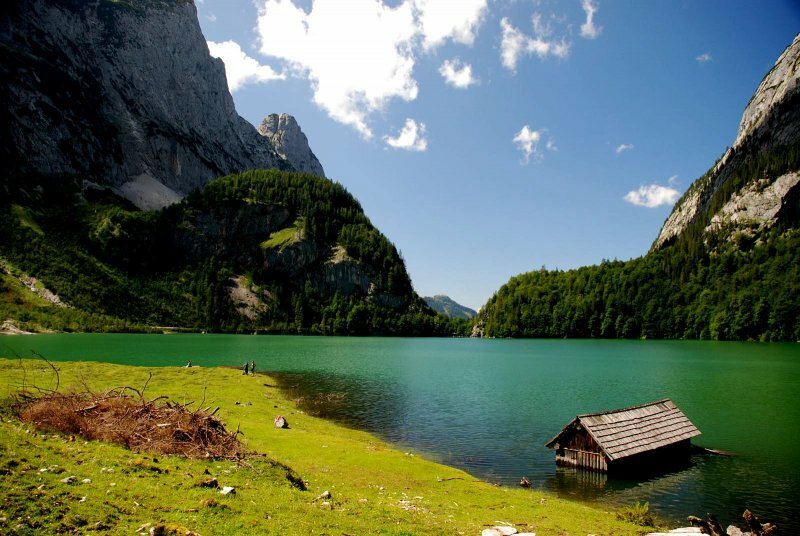 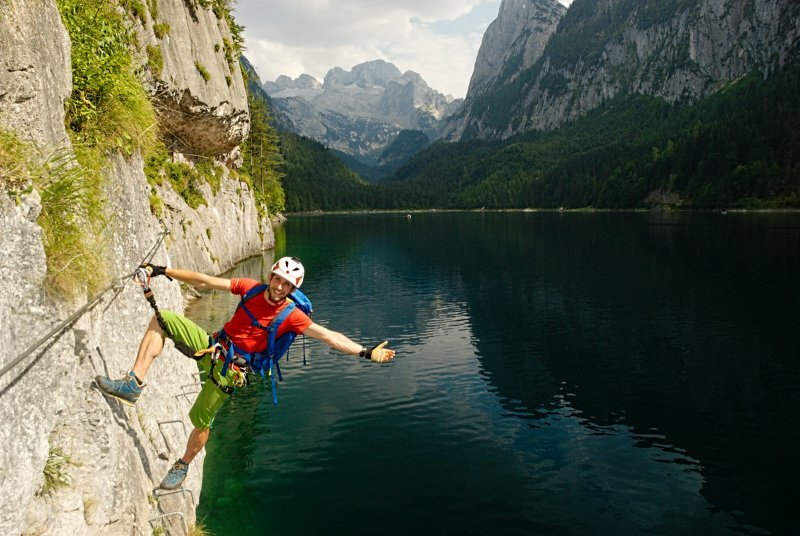 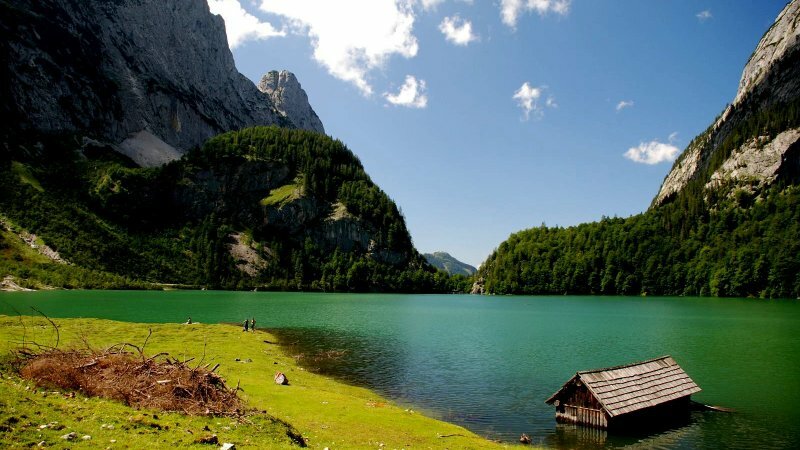 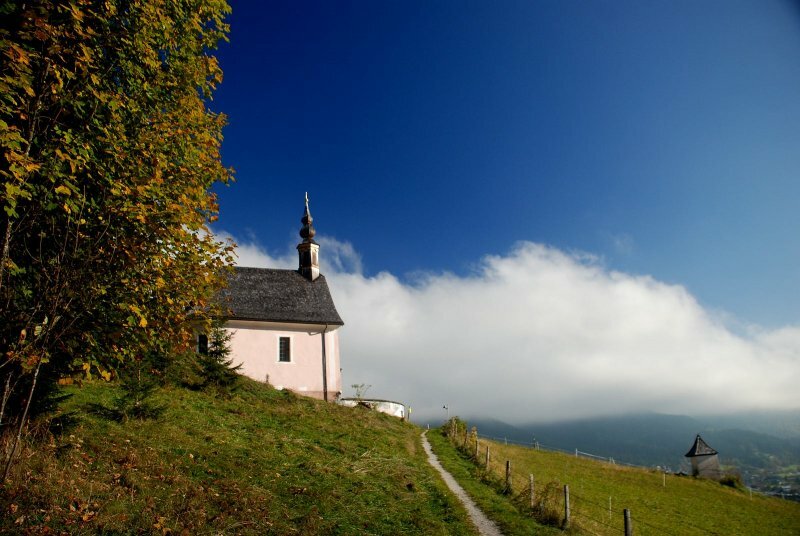 Hallstatt can be reached within 15 minutes by car, and Bad Ischl is a 25-minute drive away. 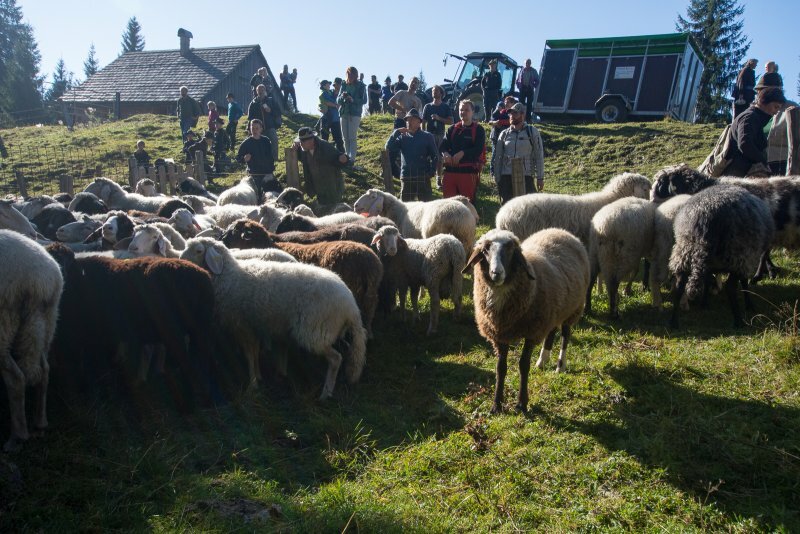 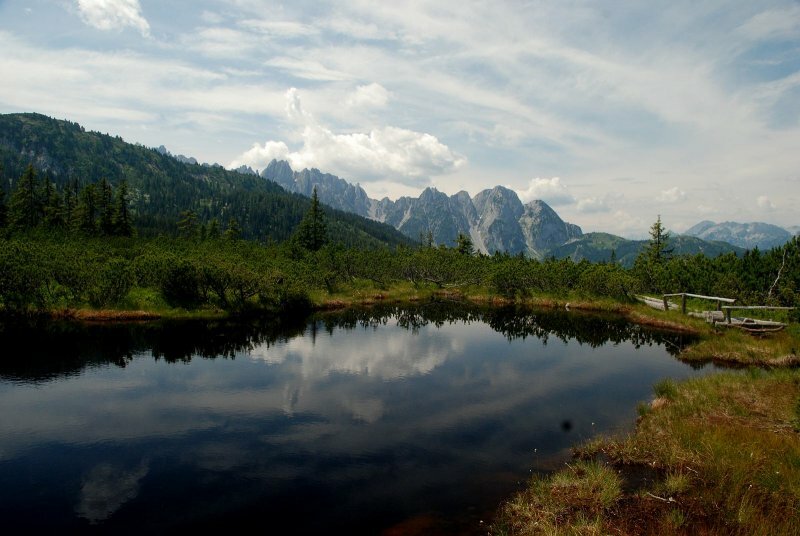 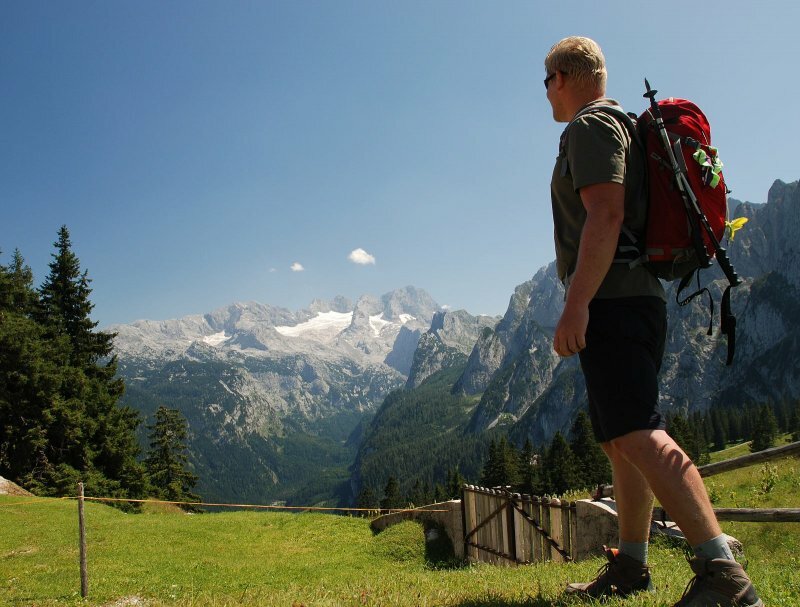 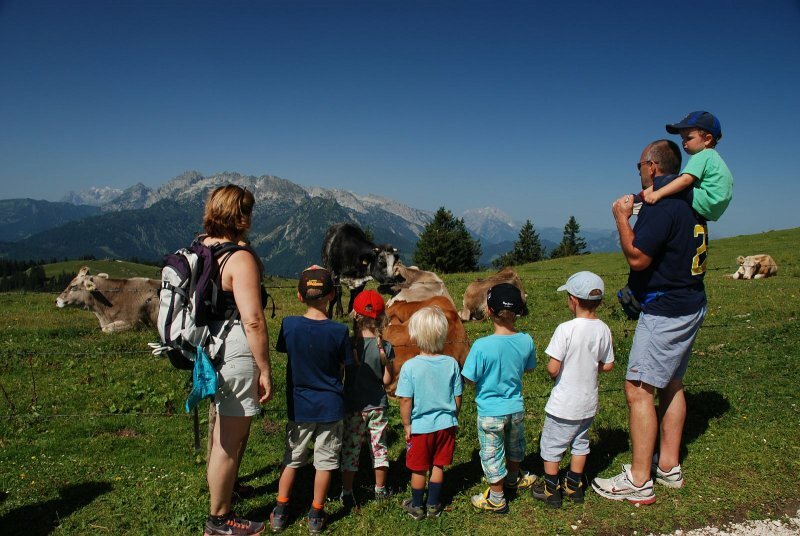 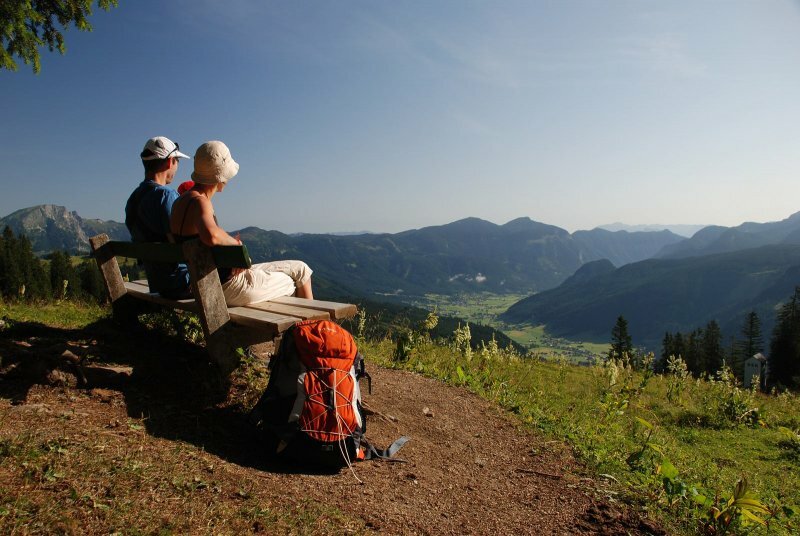 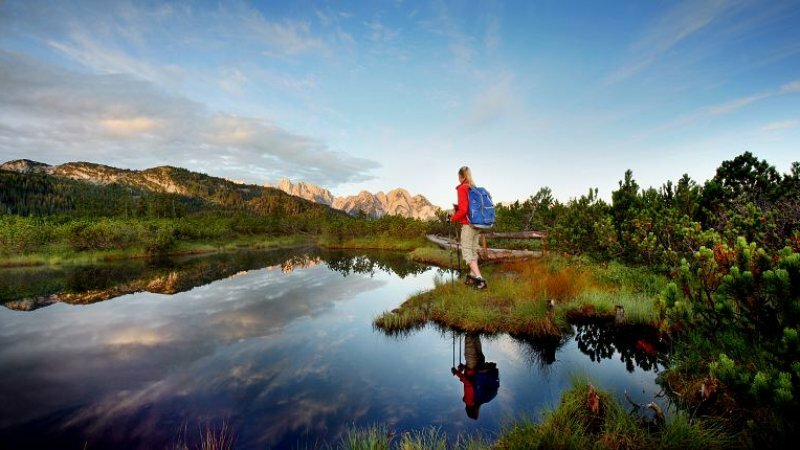 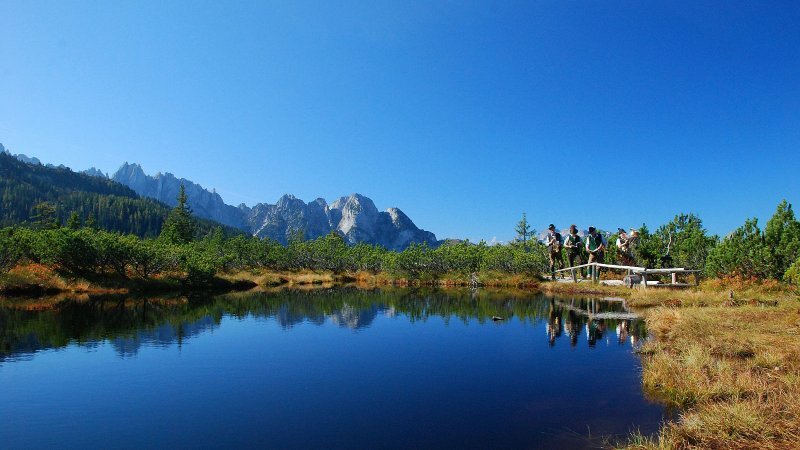 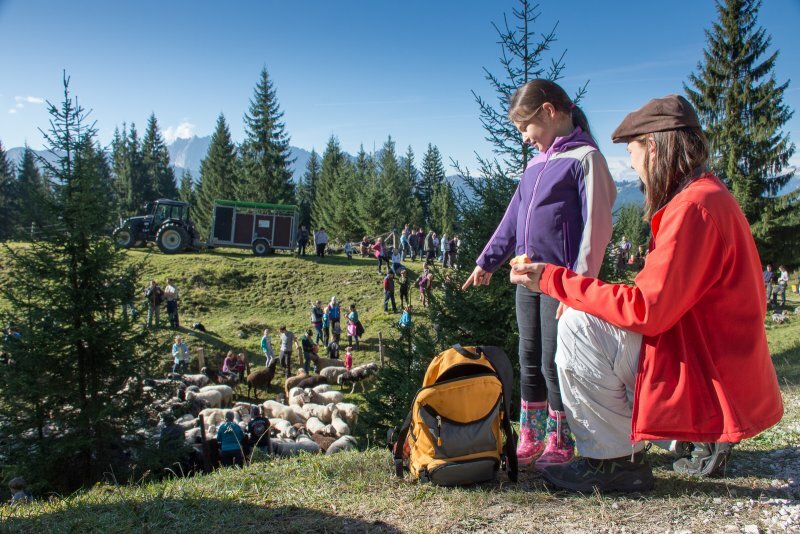 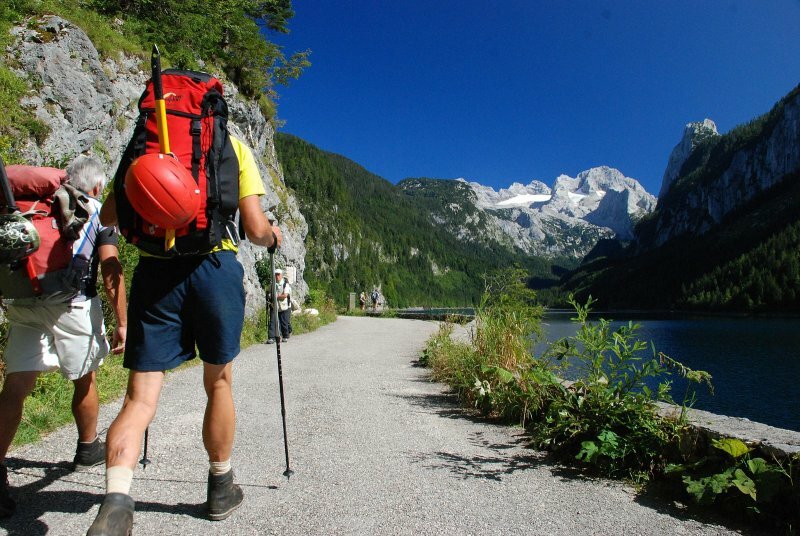 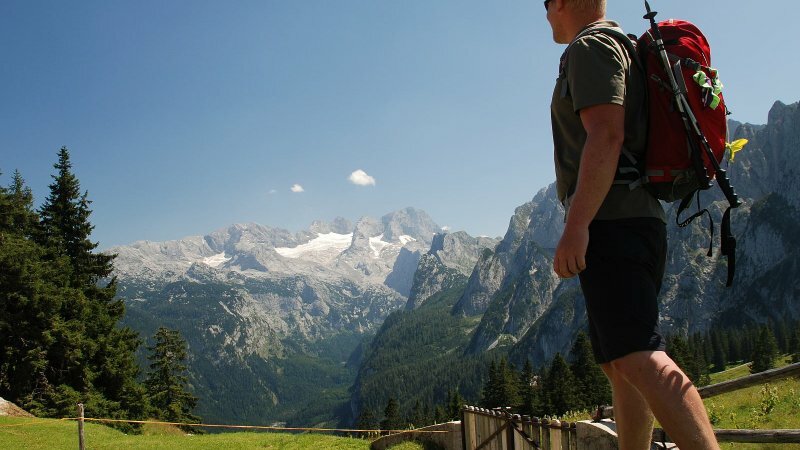 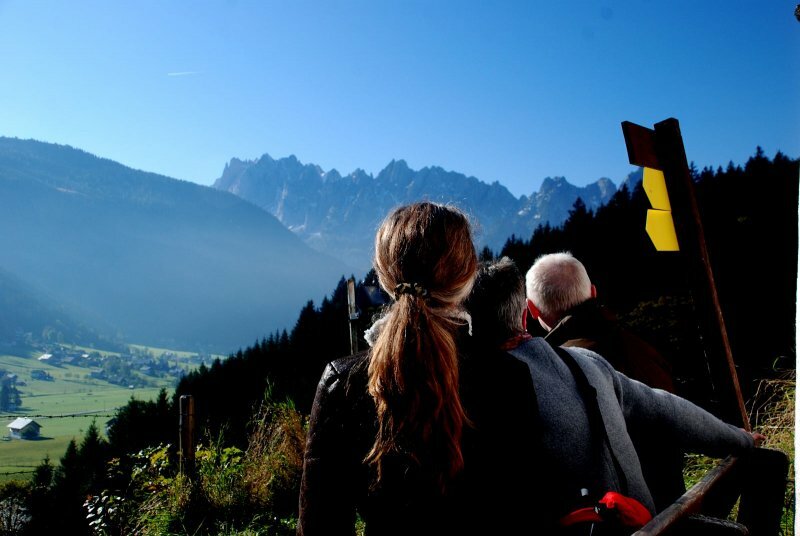 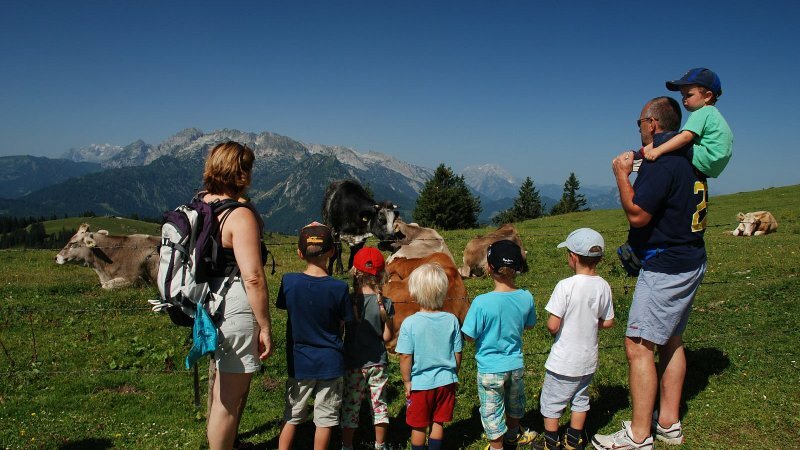 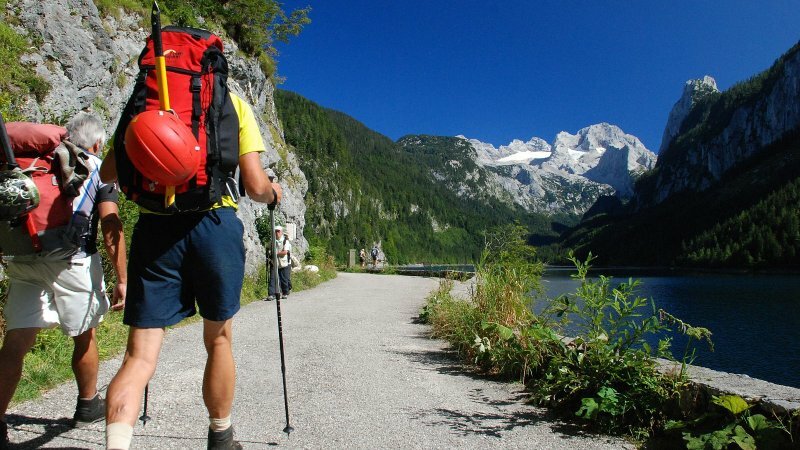 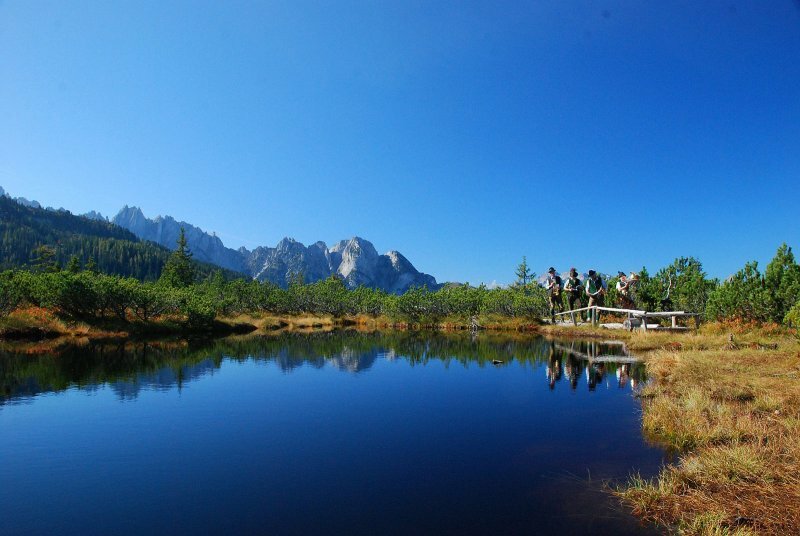 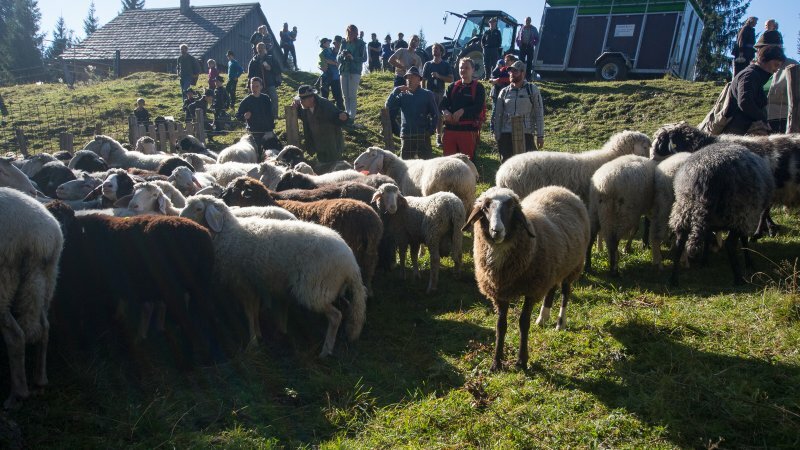 Guided hiking tours are offered in the summer season. 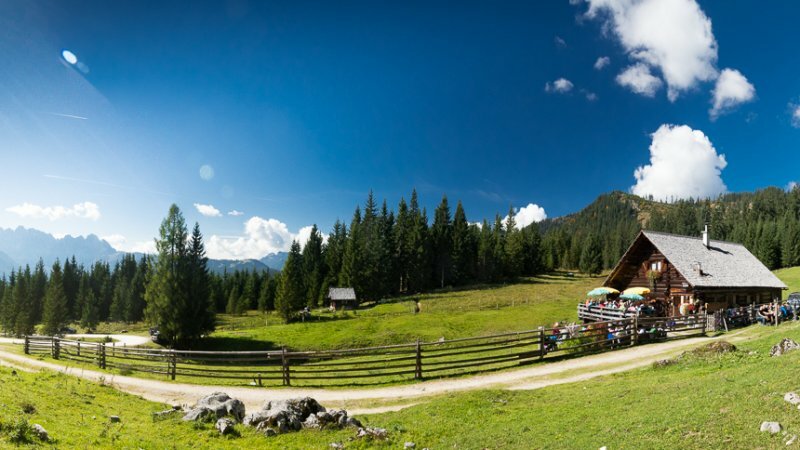 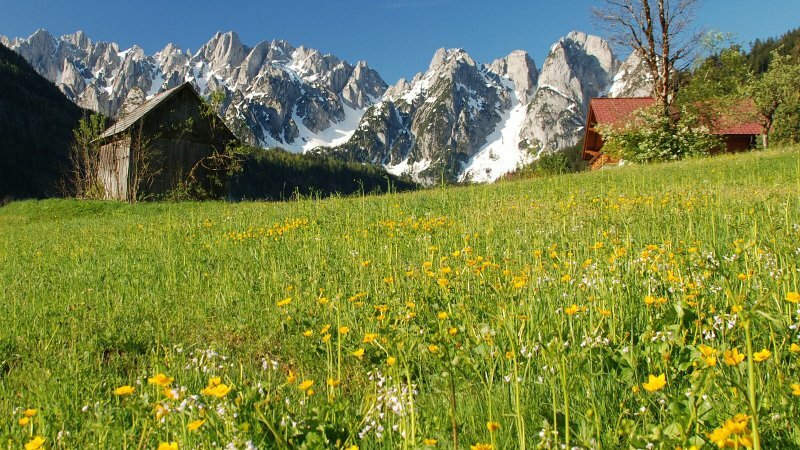 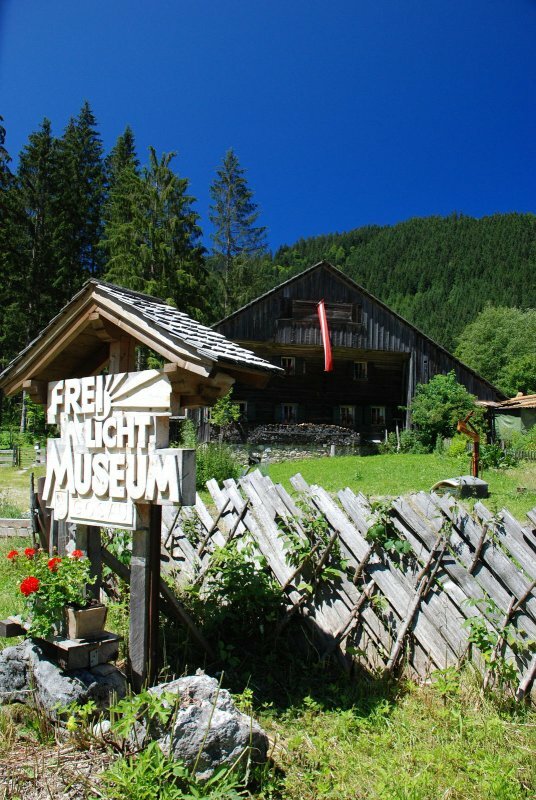 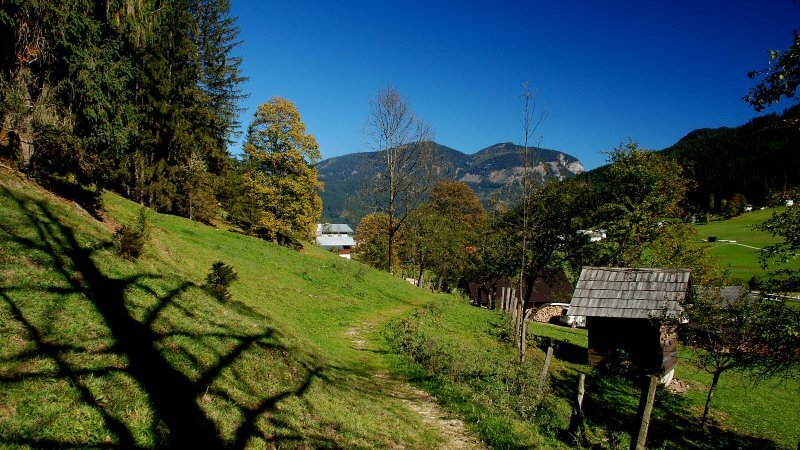 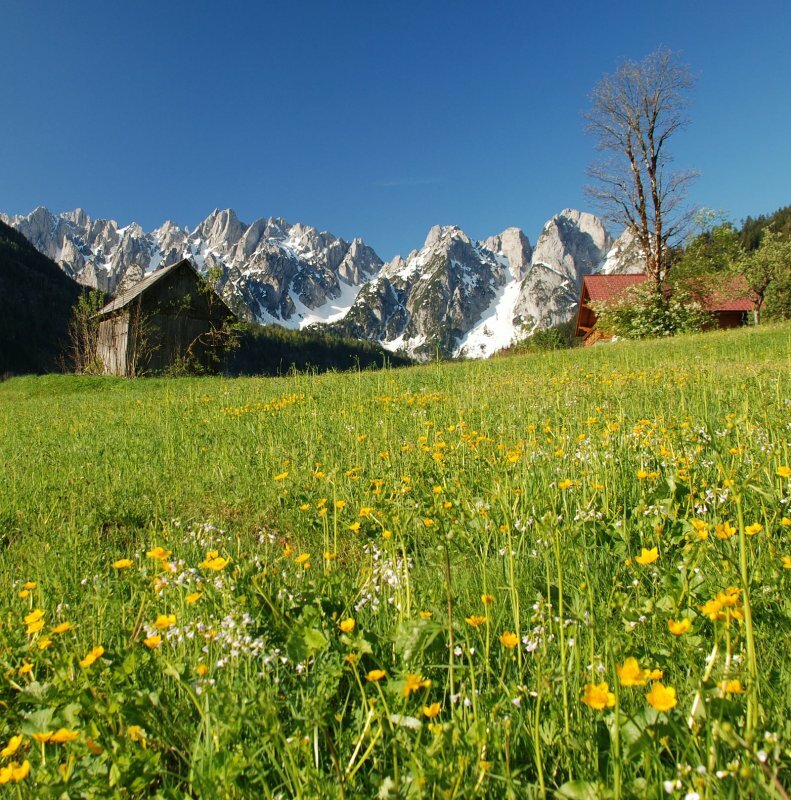 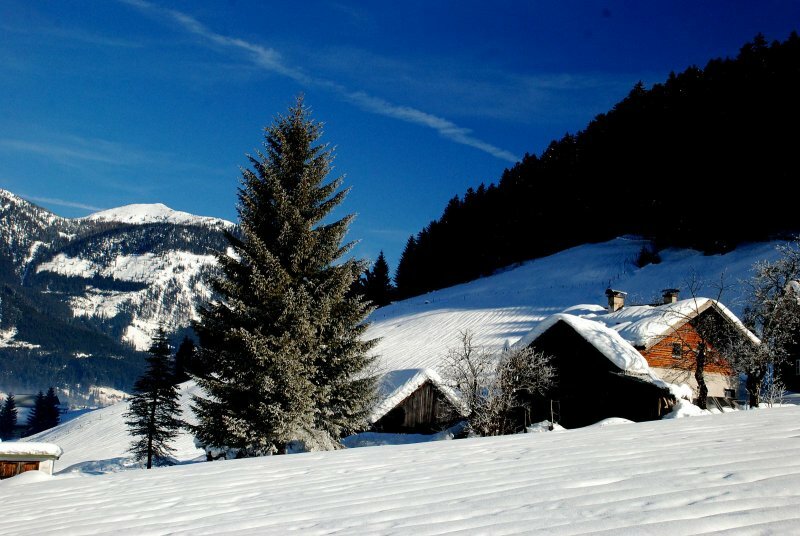 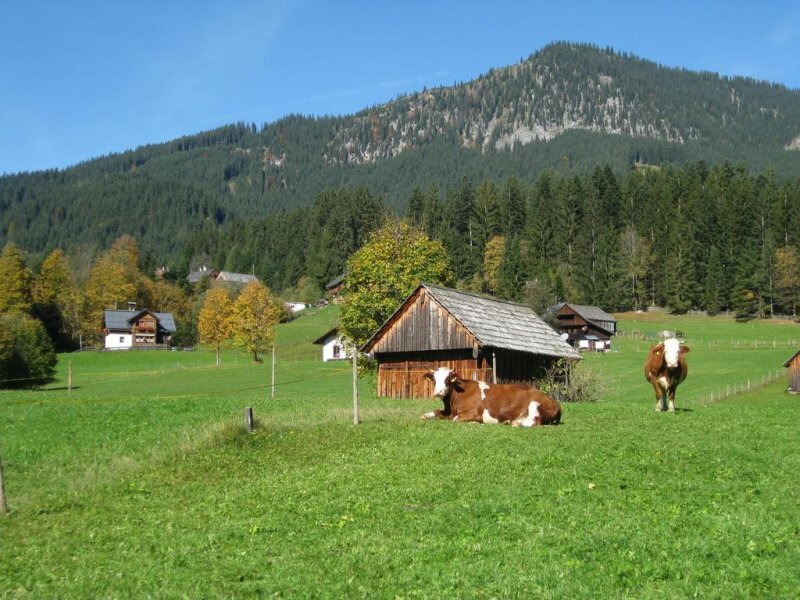 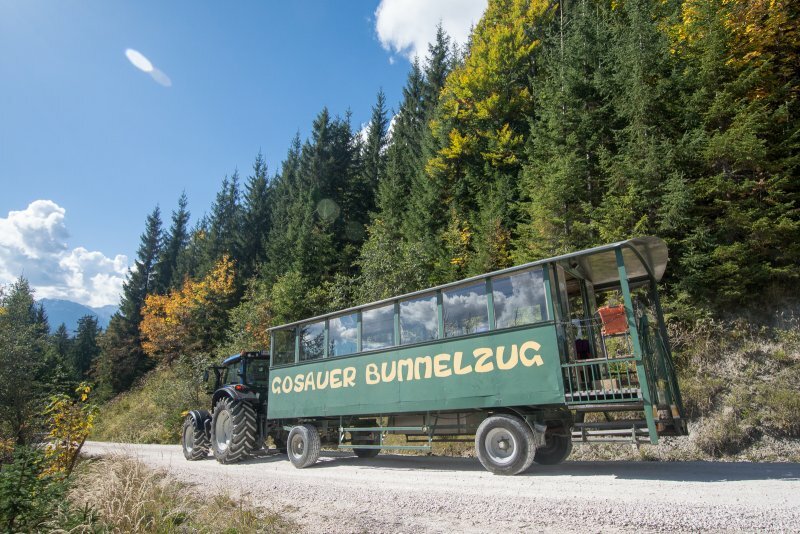 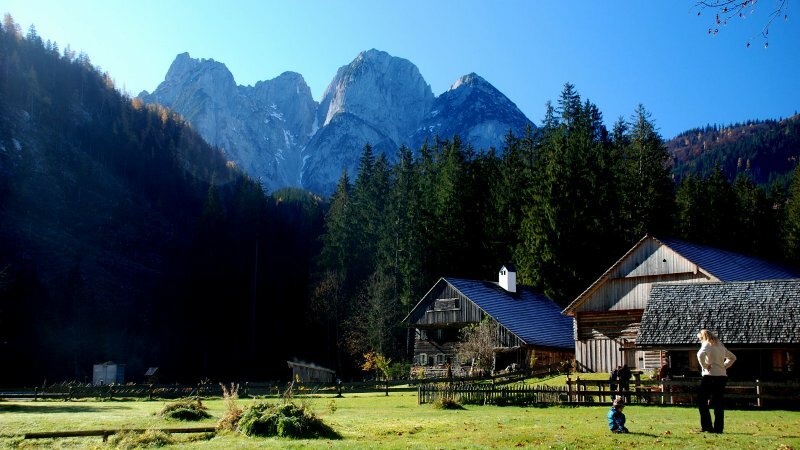 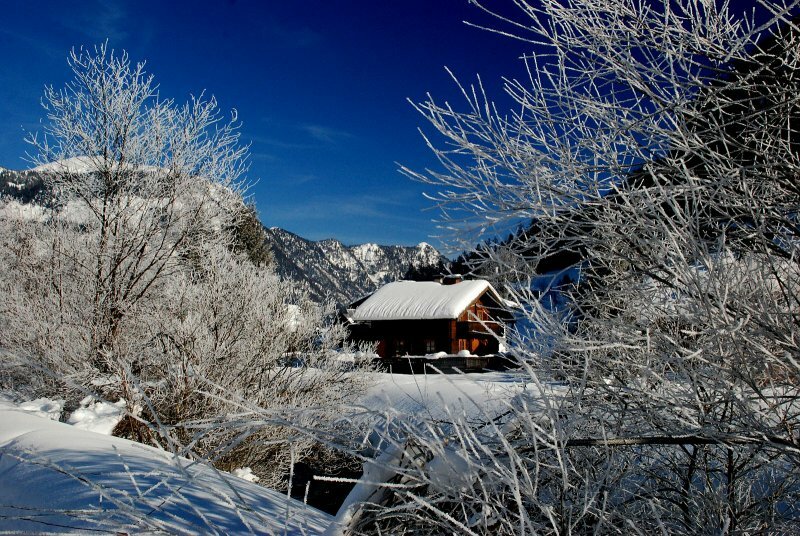 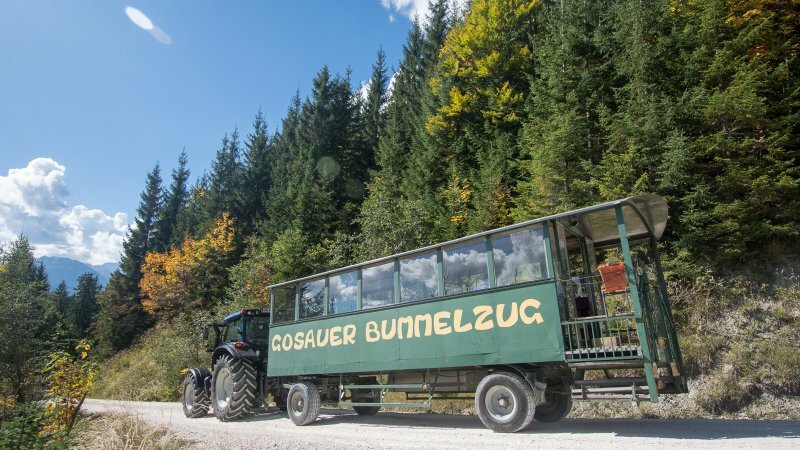 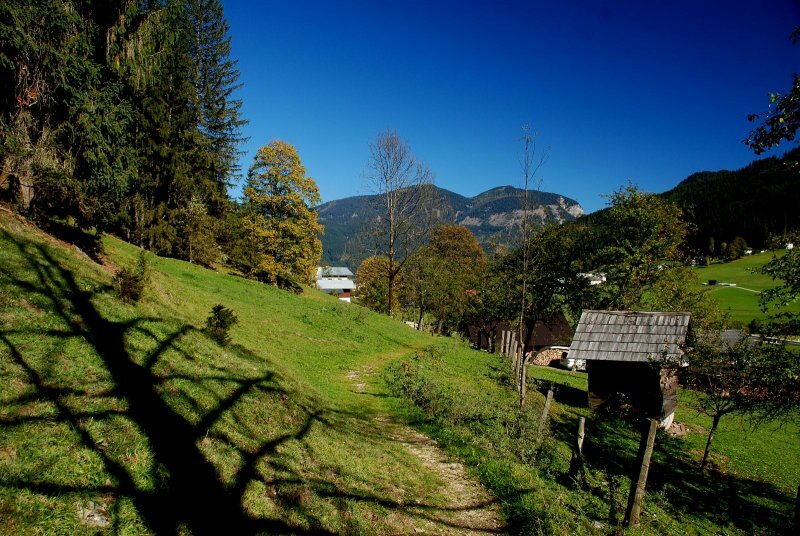 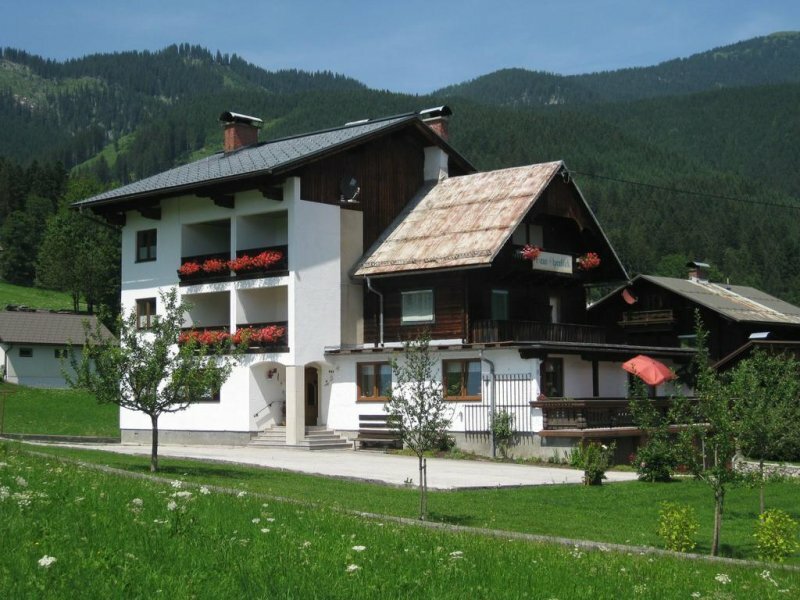 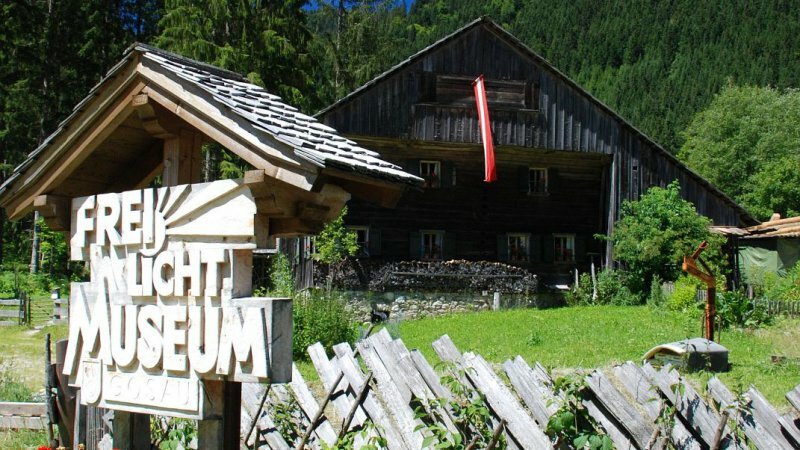 We are happy to provide information about a stay in the lovely Gosau Valley and our house, we look forward to your inquiry!